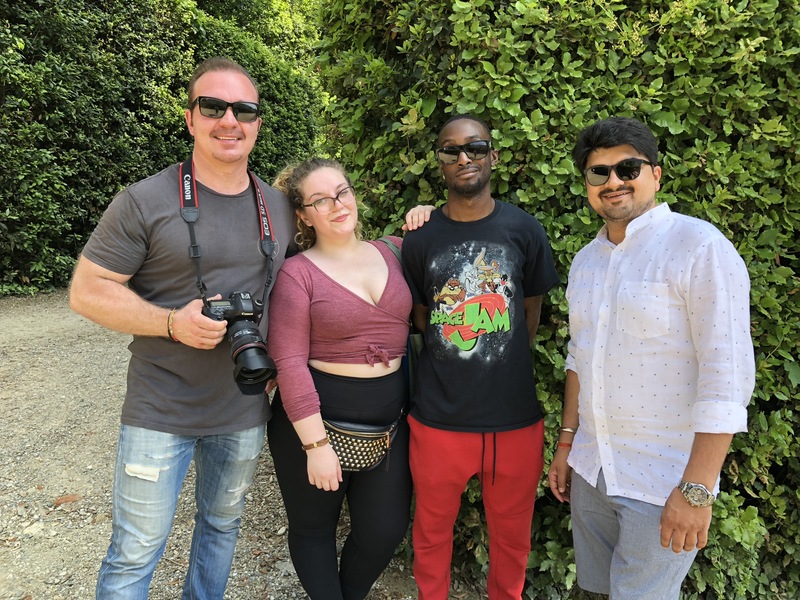 Several students attending New York Film Academy (NYFA) in Florence, Italy came together to shoot a stunning new video about the experience of learning film and acting in the breathtakingly beautiful city. All of the Fall 2018 Florence students were invited to participate in the shooting of a new video and photo shoot for NYFA’s Florence programs. 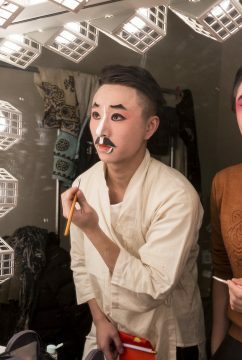 By working as crew members, and acting in the piece, the students were getting first-hand experience doing the very things they came to Florence to learn. 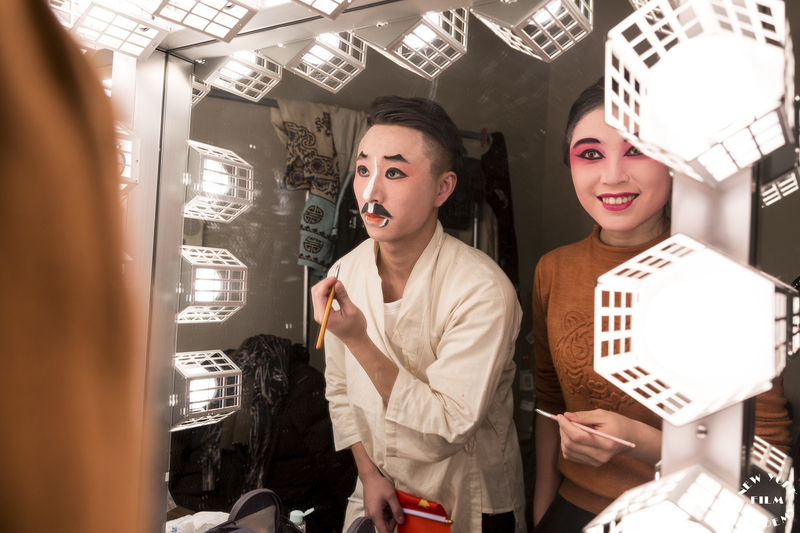 The students went through auditions and casting, as well as interviews, to mimic the process it takes to score coveted roles in a highly competitive industry. 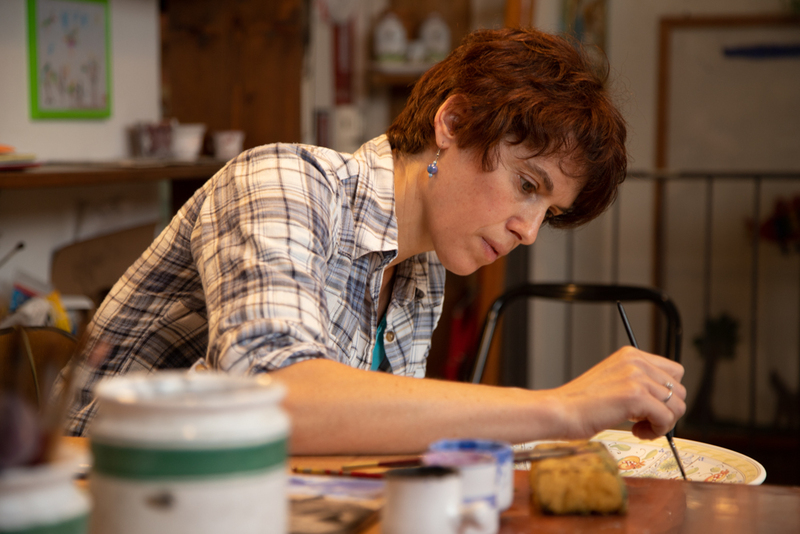 While some of the students were assigned smaller roles than they may have tried out for, it was nonetheless a lesson in humility and acceptance that is needed to continue a career in the visual arts. The leading actors cast in the video were students David Puskas (1-semester Acting for Film) and Faranak Moradi (1-semester Filmmaking). 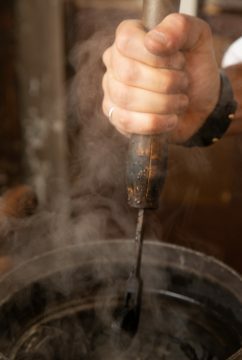 Additionally, Filmmaking students Joren Pelsma, Pietro Barba, Scott Carlson worked as camera assistants and second unit director of photography. 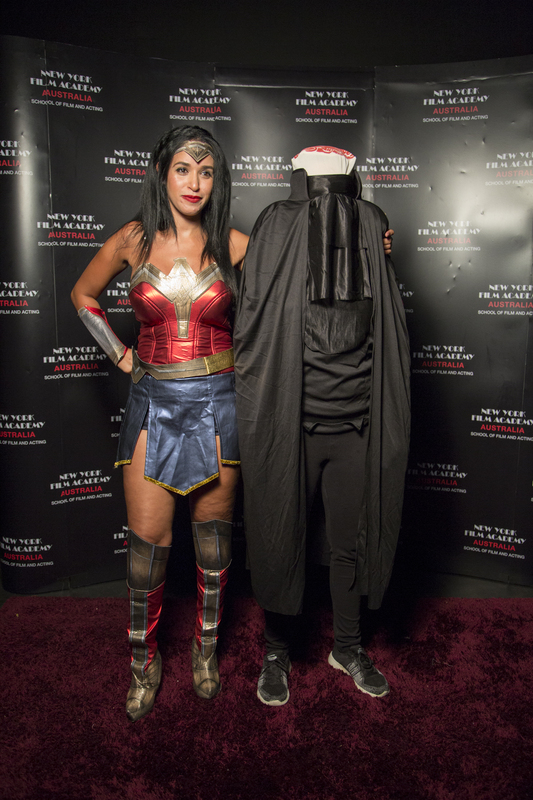 Several other NYFA Florence students participated in the shoot as supporting actors, extras, make up artists, and other roles. 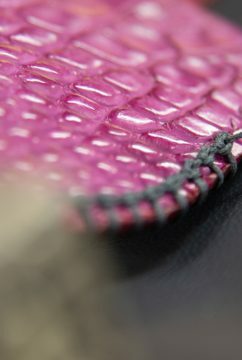 Everyone involved showed a deep level of commitment toward their craft and a passion for learning as much as possible. The shoot started at dawn—the Magic Hour—so the students were up very early and ready to work. To mimic a professional set, the students all sat and ate breakfast together before the first shot. 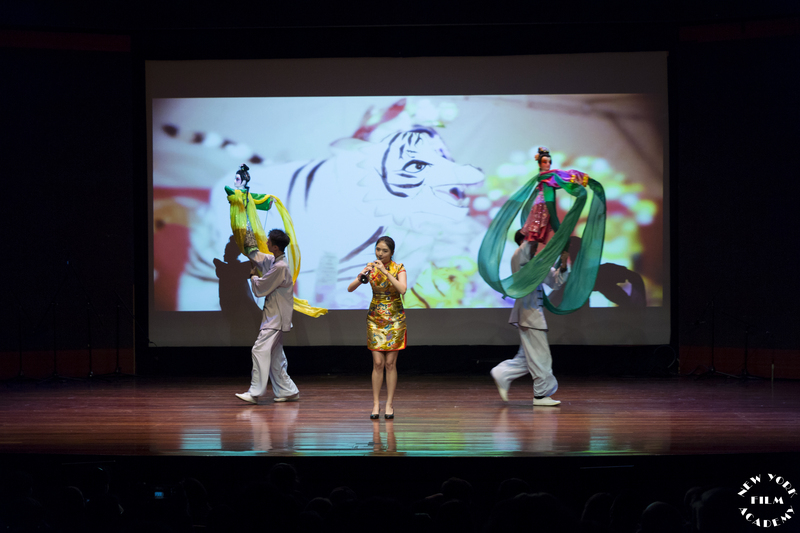 Students weren’t just involved in the production of the video, but the post-production as well. 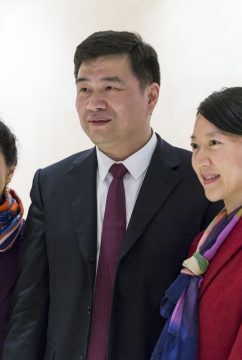 They were given the opportunity to watch an early cut of the video and give their feedback and notes for the next re-edit. Projects such as this newest video are not uncommon at NYFA Florence, and students often have a chance to work on projects outside of their own that are deeply tied to the Renaissance city. 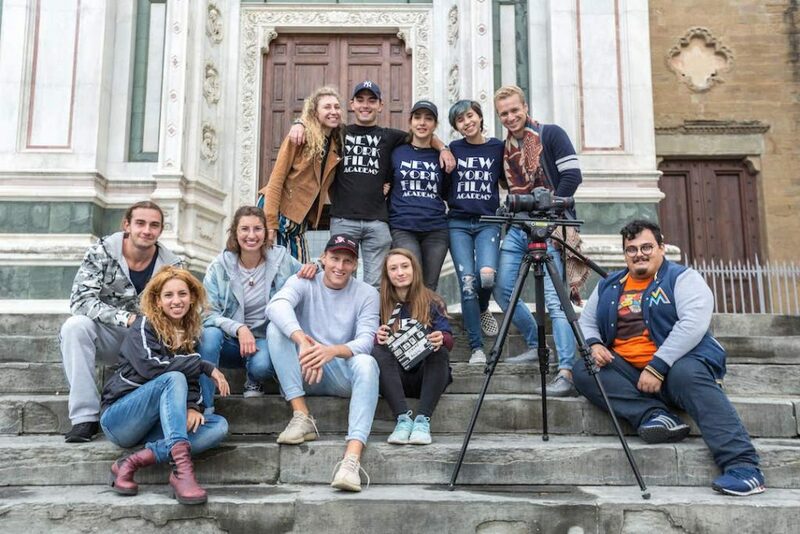 Thanks to a well-established relationship between NYFA and the municipal government of Florence, NYFA students and staff are often invited to shoot professional videos in collaboration with the city of Florence itself, including its orchestral Strings City event. This, in turn, also gives the students professional credits to add to their resumes before they’ve even finished the program! 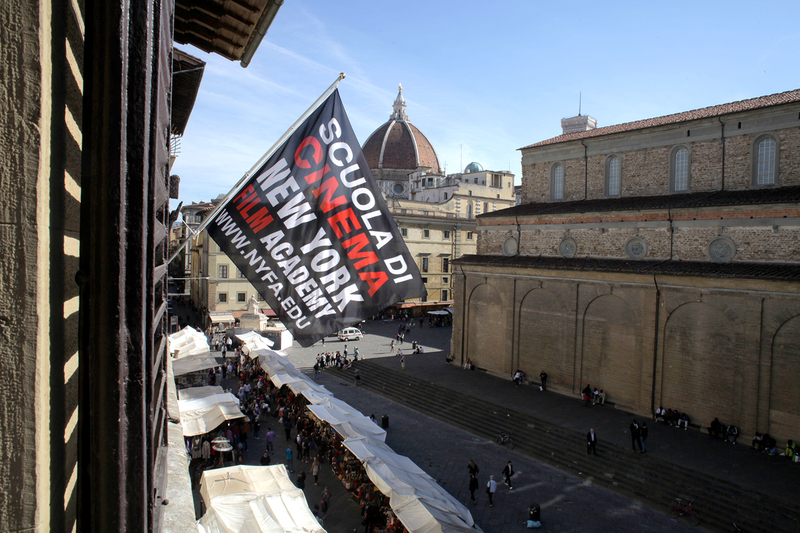 You can find more information on the programs offered at NYFA Florence HERE. 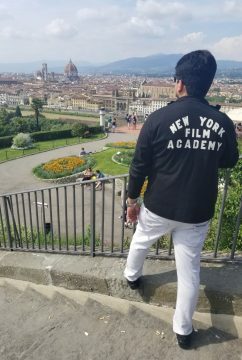 Recently, on a rainy afternoon in Florence, I had the wonderful opportunity to spend time with students at New York Film Academy’s (NYFA) Florence location, located in a charming state-of-the-art facility on Via Torta, near the Basilica di Santa Croce. The students had just returned — soaked and exhausted — from a long day filming the last scenes of their final projects. The “crews,” each comprised of four or five students, all used the city of Florence as the “film set” for their visual stories. 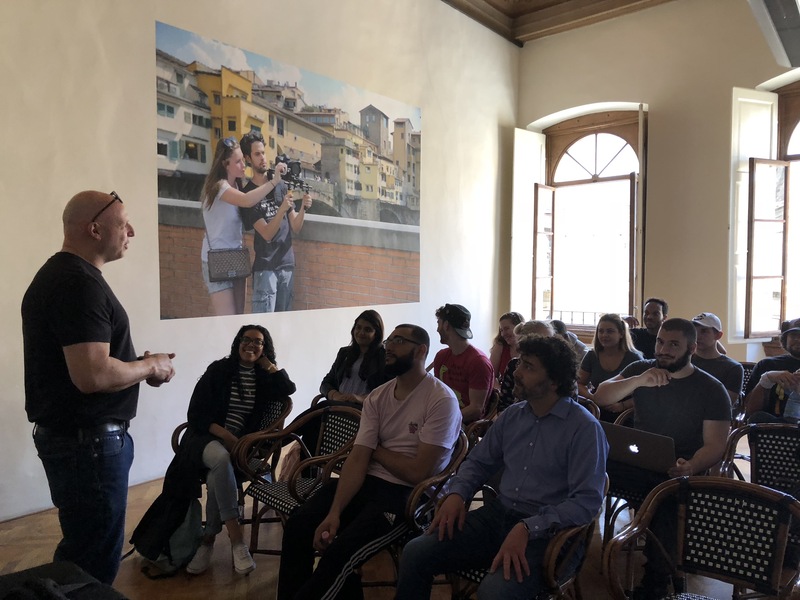 They were in the homestretch, although they still had a few demanding days ahead, editing their films before presenting their work at the graduation screening and celebration of the conclusion of their semester abroad programs in Filmmaking and Acting for Film. 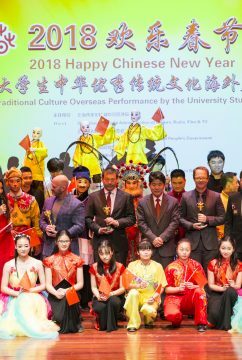 These students came from 12 countries — the United States, Hungary, Ukraine, Iran, Netherlands, Romania, UK, Kazakhstan, Czech Republic, Spain, Italy, and Mexico. 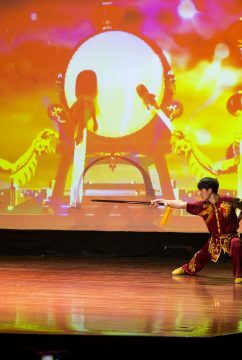 One student fervently told me that, while he had had a passion for acting from a young age, before NYFA he had doubts about whether it was something he wanted to pursue instead of an economics degree; but now he wants nothing more than to be an actor. 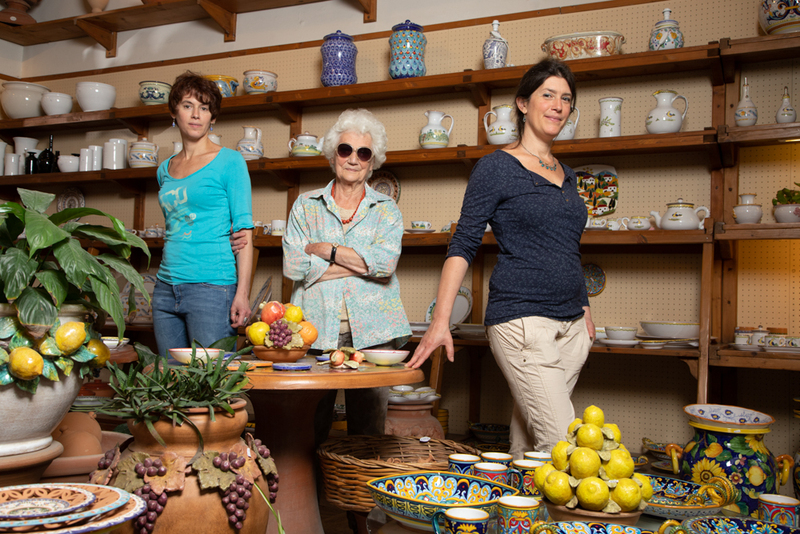 It was 1976 when my feet stepped off a plane at the Leonardo da Vinci–Fiumicino Airport in Rome and a new phase of my life began. Much of it stays with me to this very day, and now, encircled by this wonderful group of young “creatives,” more and more remembrances came rushing back to me. 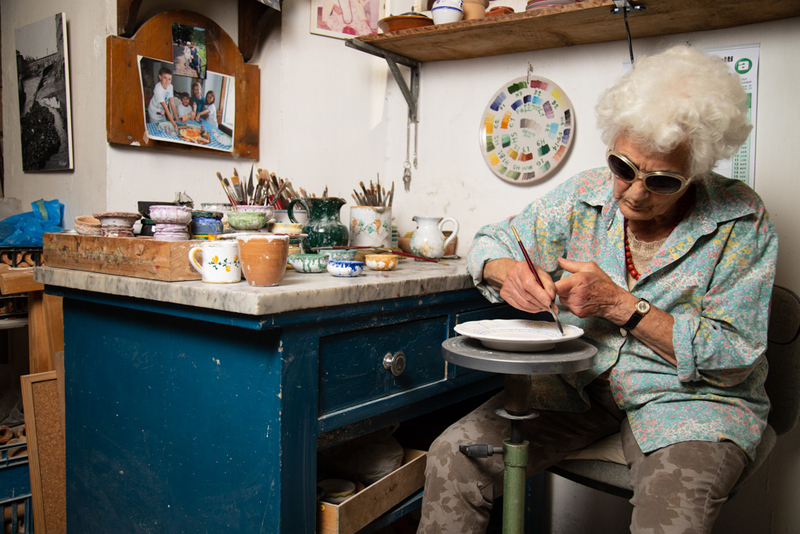 I arrived at 18, never having previously left US soil, with just $300 dollars in my pocket and a full scholarship to study art in Florence that was graciously provided by publishing icon, Anna K. Meredith. 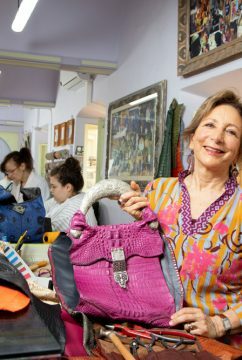 At a later point I learned that Ms. Meredith, who at the time headed the family’s The Meredith Corporation — a massive publishing empire that produces dozens of the most popular magazines (including Sports Illustrated, Fortune and PEOPLE) — personally chose me as the first recipient of her generous study abroad grant. Now, I knew that in a week this delightful group of talented young people would be saying goodbye to the city of Florence, to the New York Film Academy staff and faculty, to their classmates and their friends, and that they would walk forward — as I did 40 years ago — into lives that will be forever changed for the better. My teacher was certainly more accurate than she could ever have imagined. 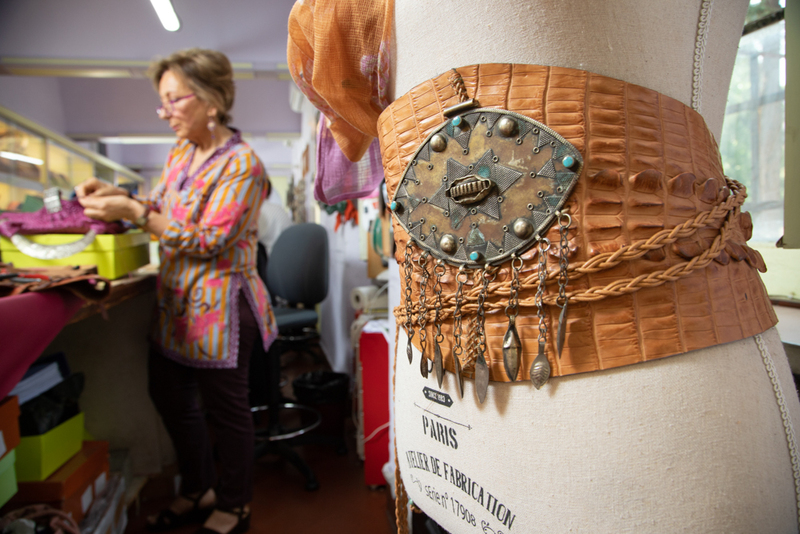 It is both the magic of Florence and the impact of the experience of studying abroad that simply cannot be explained well in words, because they reside in a spirit deep within the city — and at the same time — in one’s own heart. 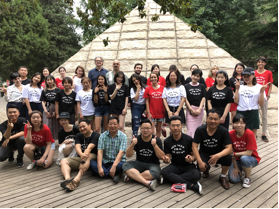 On July 8, 2018, New York Film Academy (NYFA) began its eighth hands-on-workshop in Beijing, China. The 4-Week Filmmaking Workshop runs throughout July, and finishes on August 4th. 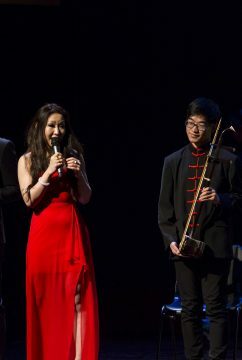 The classes are being held at the Beijing Film Academy, which, like other film schools in China, is collaborating with the New York Film Academy. 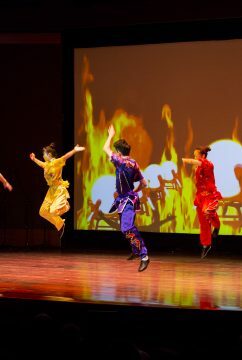 NYFA hosts the workshop, providing instructors from both their New York and Los Angeles campuses, who fly out to China and stay for the duration of the course. 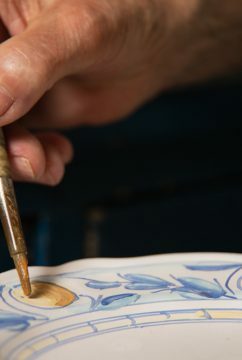 In addition, a 1-Week Workshop will be offered later in the summer. 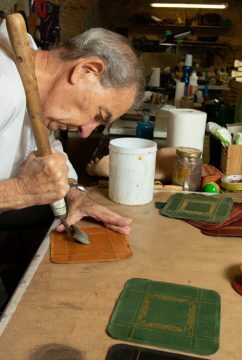 The instructors include Ben Maraniss, Benjamin David, and Igor Torgeson. By the end of the 4-Week workshop, each student will have shot three short films. 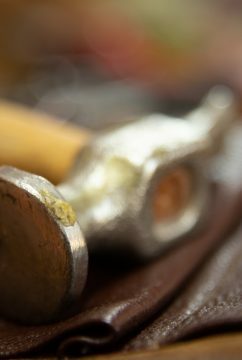 Students are able to learn the various aspects of the filmmaking process, including writing, directing, acting, editing, and lighting a set. The students attending the workshop have a diverse, international background, coming from several different countries across the globe. 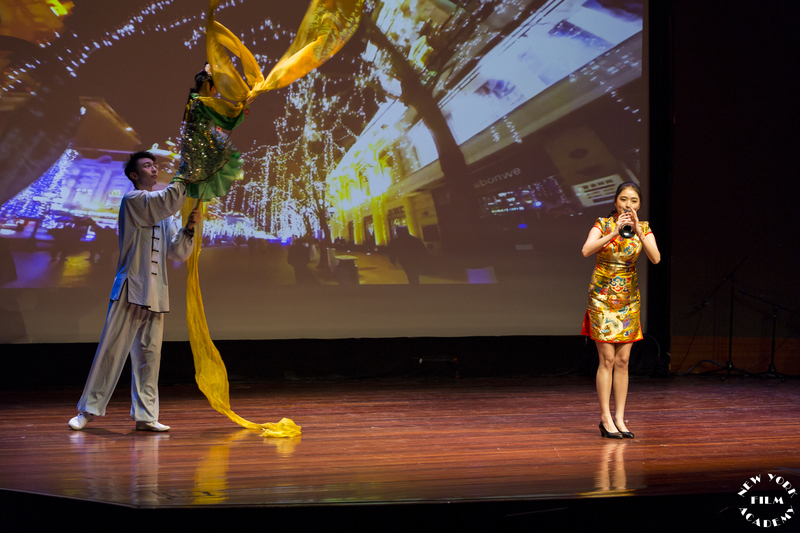 By combining such unique and distinct voices and cultural backgrounds, the students learn the art of filmmaking in a collaborative environment, sharing and gaining knowledge from each other’s perspectives. This allows them to tell fuller, richer stories. 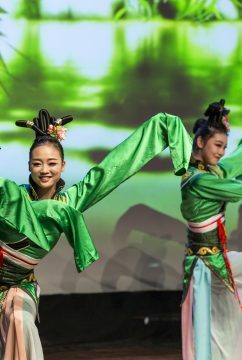 In addition to the cultural experiences brought from their own backgrounds, students benefit from the rich experience of learning in Beijing, China, an ancient, complex city with centuries of history. 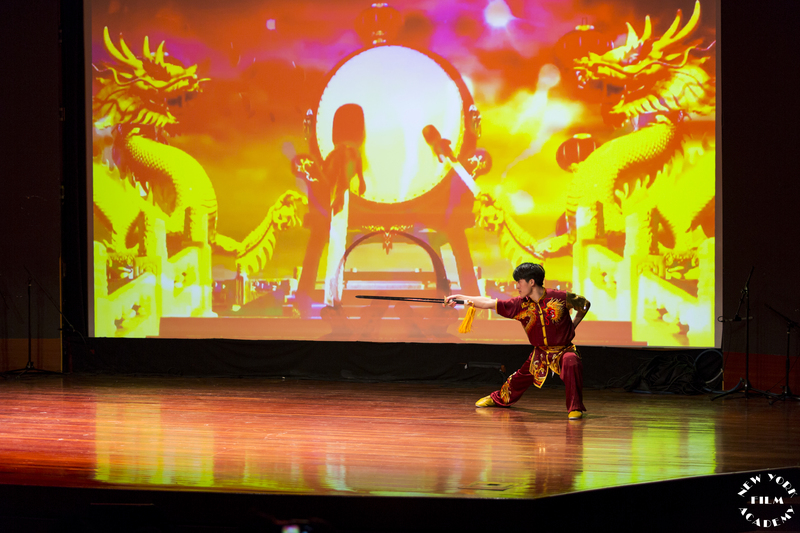 Chinese cinema has been around nearly as long as the medium itself, and has been rapidly expanding and gaining global significance as each year goes by. By learning in Beijing, students are learning in one of the centers of a major cinematic industry. New York Film Academy workshops are also a great stepping stone to longer and more intensive programs, including One Year Conservatories in Filmmaking, Acting, Producing, and several other disciplines. 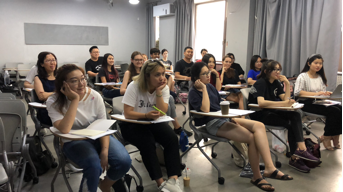 Many students who have attended NYFA workshops in China in the past followed up with other courses, including in NYFA’s New York and Los Angeles campuses. 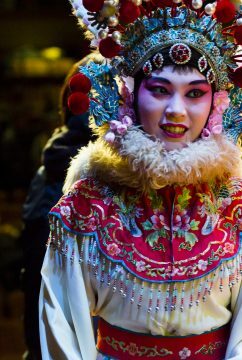 Whether as a step in a longer, worldly journey of discovery in the filmmaking arts, or as a singular lifetime experience, students studying at NYFA’s workshops in Beijing no doubt come away with memories and an adventure they will never forget. 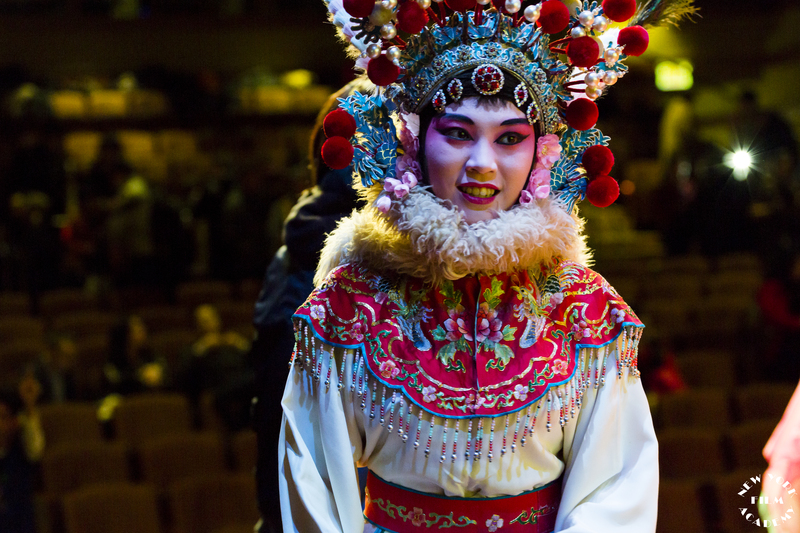 If you are interested in studying with the New York Film Academy in Beijing, you can find more information here. 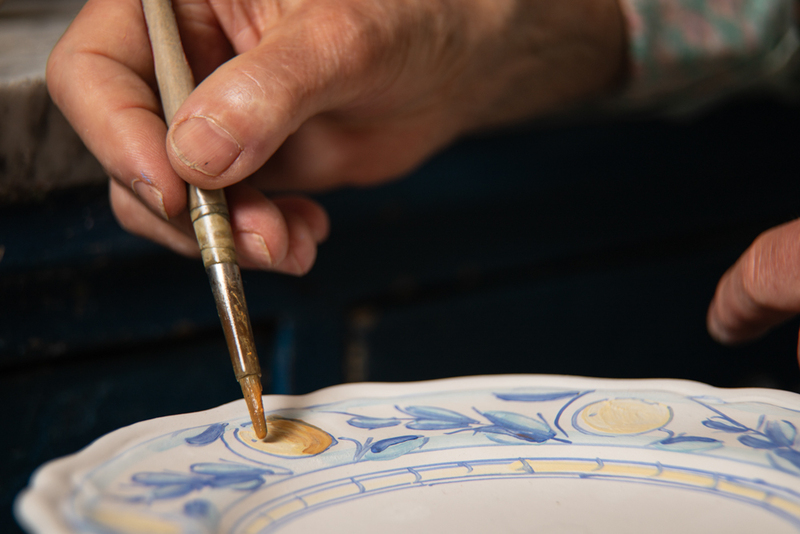 Photography in Florence is magical; the light is soft and billowy, almost tangible. 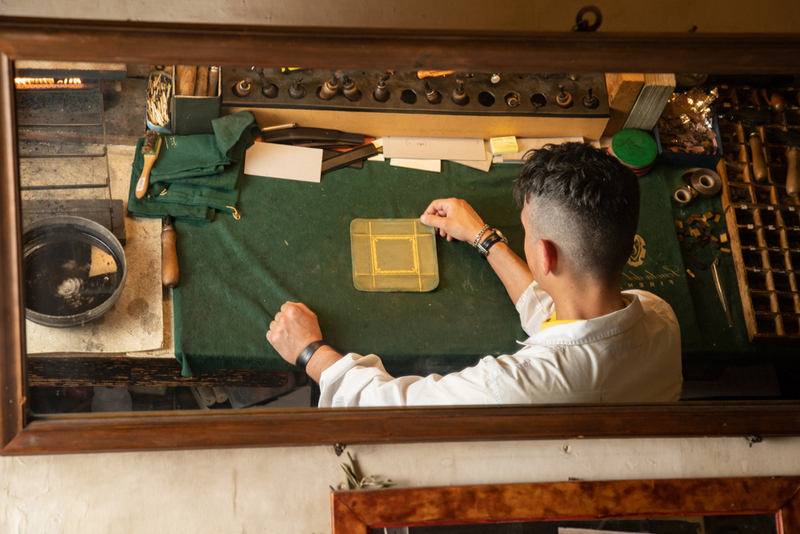 The 2,000 year-old Florentine streets are paved with cobblestones and the buildings display history in layers as you walk by, one fresco emerging behind another. 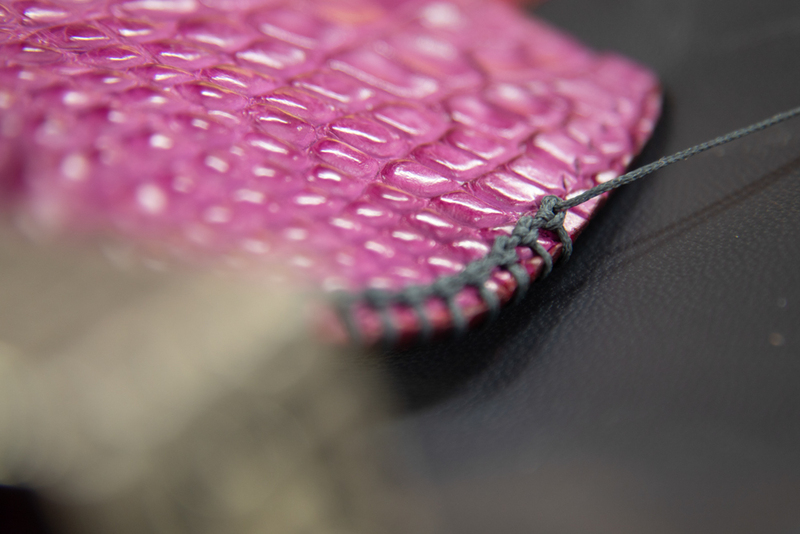 Since everything is new to the eye in unfamiliar surroundings, all kinds of details and expressions jump out and call to be photographed. 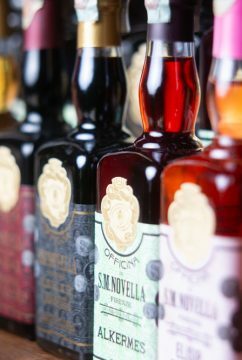 Florence is covered in art from Renaissance paintings by Botticelli and Da Vinci, to the Duomo and other architectural gems. 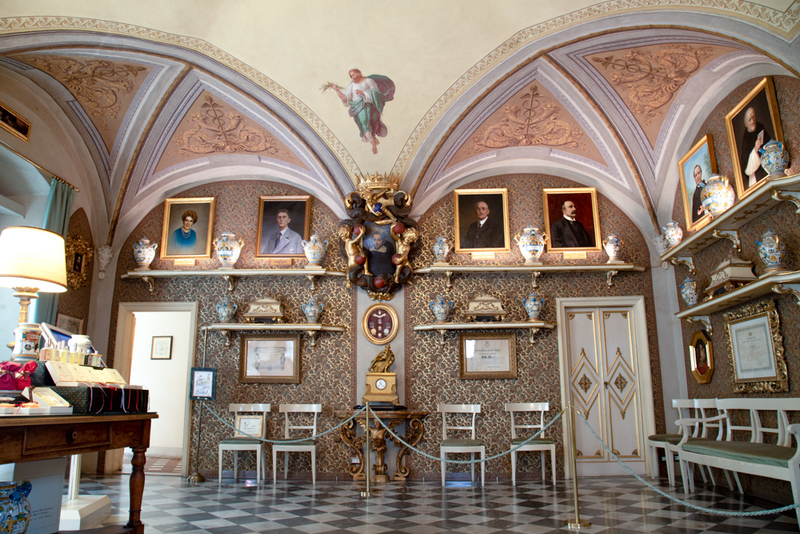 Nearly every church has fine art paintings and sculptures inside, frescoes by Giotto and Masaccio, and you can get so close you can smell them! 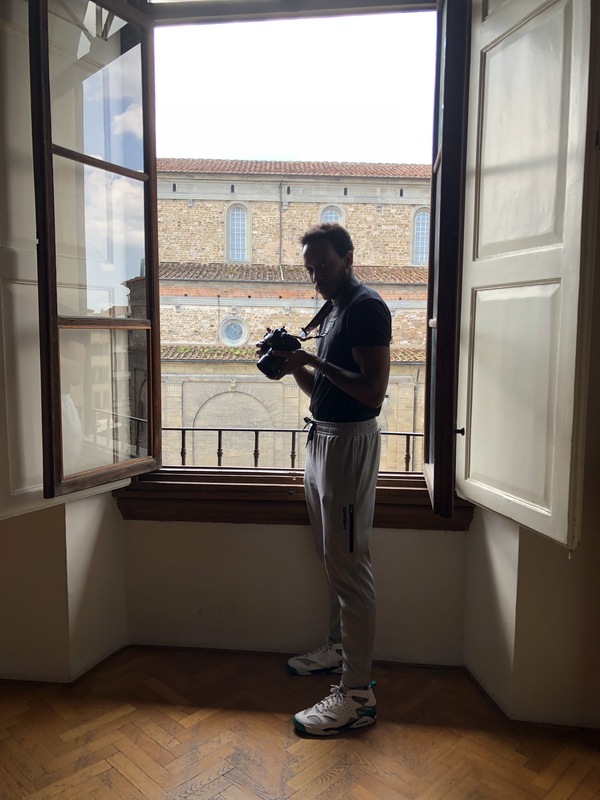 Over spring break, New York Film Academy (NYFA) Chair of Photography David Mager and Associate Chair of Photography Naomi White traveled with 18 NYFA students and alumni for an incredible week of photography in the historic city of Florence, Italy. 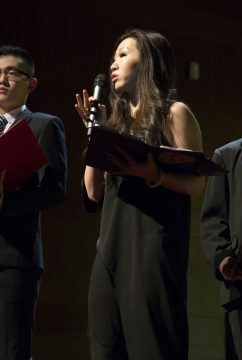 Students came from several different departments (Acting for Film, Filmmaking, and Photography), creating a diverse group of talented and creative people. Classes were held in the mornings at the beautiful NYFA Florence campus in Piazza San Lorenzo, and were geared towards both beginning and advanced students. 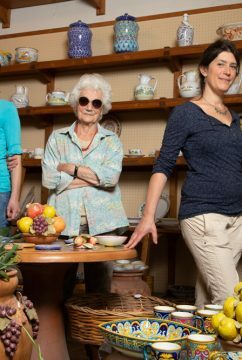 In the afternoons, we alternated between walking tours of the city and commercial shoots at local businesses. 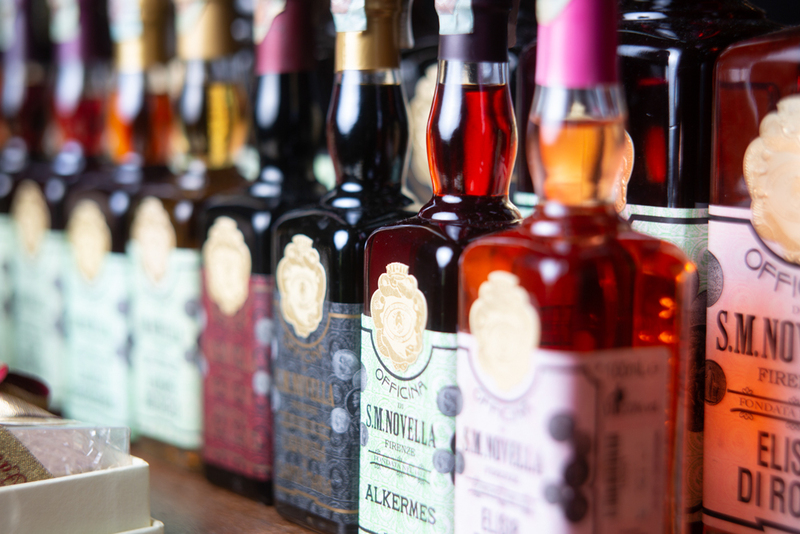 We also toured Tuscany together, visiting the hill towns of Siena and San Gimignano, both built for pedestrians with large city squares and ornate romanesque-gothic churches. 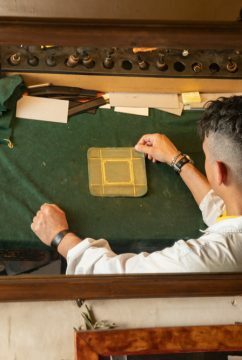 Walking tours focused on elements of exposure and how aperture affects communication, as well as embracing decisive moments through street photography and documentary portraits. We toured the church of San Lorenzo, with it’s collection of Renaissance paintings, including the recently restored Annunciation by Filippo Lippi (c. 1450); the Boboli gardens with their magnificent sculptures and shady dells; and wound our way along the Arno, crossing over several bridges including the famous Ponte Vecchio with it’s shiny jewelry shops and magnificent views of the river. 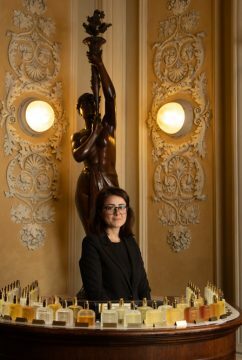 There were also 3 commercially-focused shoots, where advanced students worked with the ProFoto B1 lights to create elegant imagery for various businesses. 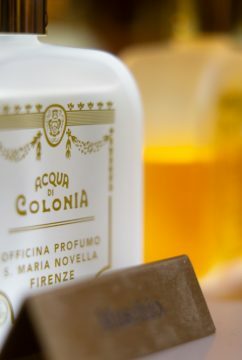 The first was in a 600-year-old apothecary in Santa Maria Novella. 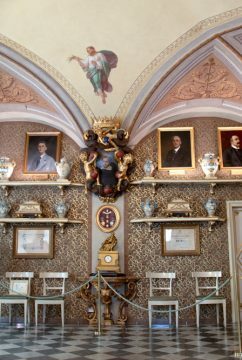 Gothic vaulted ceilings and pink and white striped stone pillars define this enchanting space, which is now used as a fully working perfumery selling upscale bottles of expensive perfume. 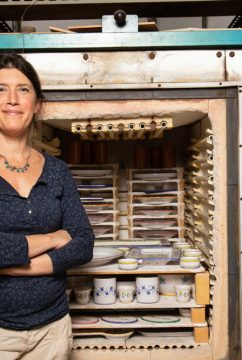 The second business was an all-women-run ceramic shop. 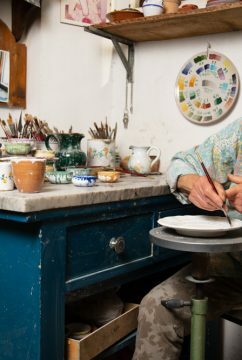 The owner, now in her 80s, still goes to work every day to paint beautiful ceramic pottery alongside her daughters. 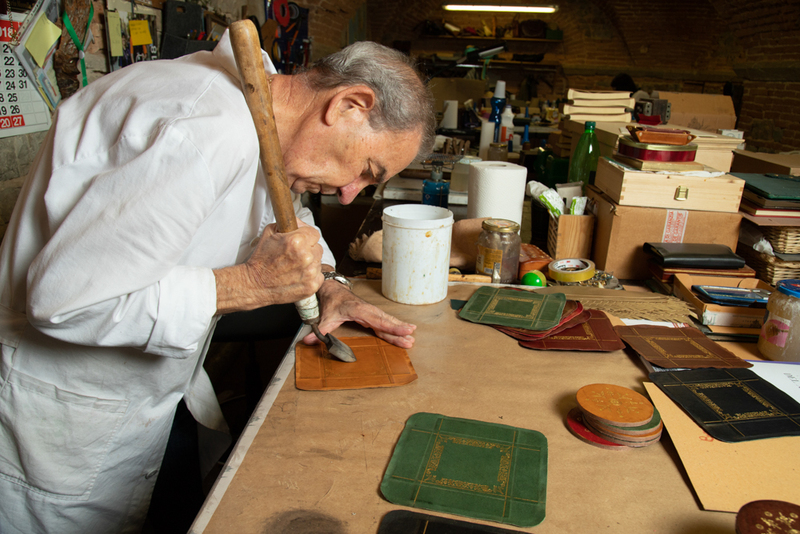 The third business was a leather school where students are trained in creating leather goods typical of Florence such as bags, purses, belts and shoes. We had a wonderful group of students who not only took great pictures, but who bonded and enjoyed each other’s company. 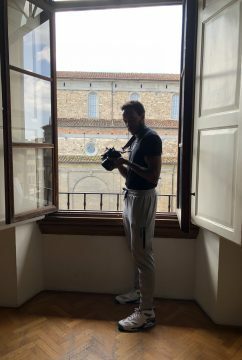 The NYFA Photography excursion to Florence offered a great week away from the familiar daily life and gave the students new skills and new perspectives. 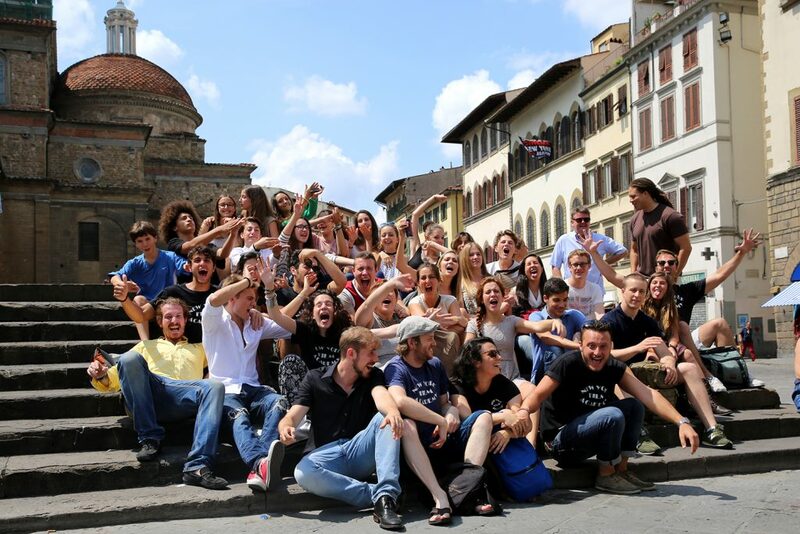 If you ever have the opportunity to go to Florence with NYFA, you should take it! 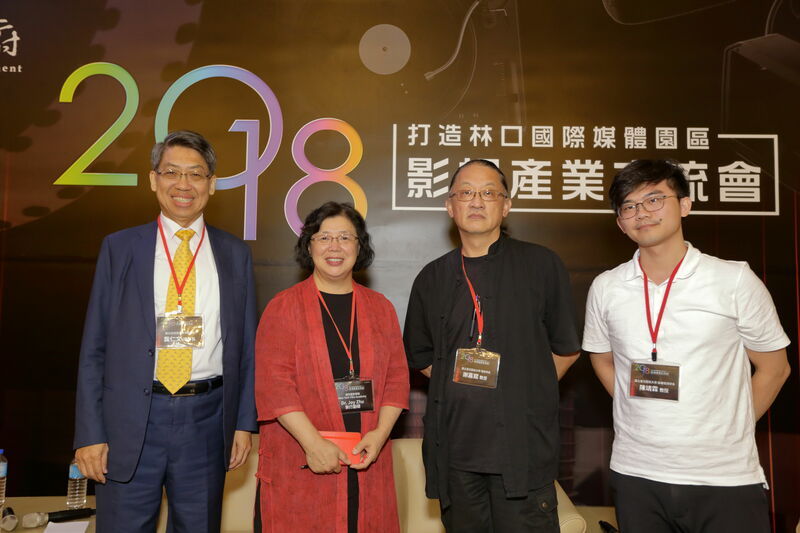 The New York Film Academy College of Visual & Performing Arts (NYFA) was honored to participate in a high-level New Taipei City media event, the New Taipei City Film Industry Exchange Conference. 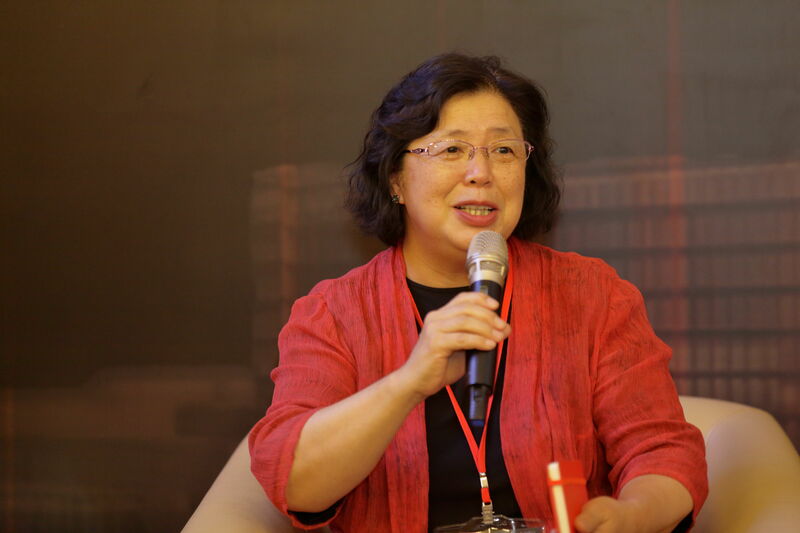 NYFA Executive Vice President for the China Region Dr. Joy Zhu was a panelist at a segment of the event that focused on the cultivation of talent. 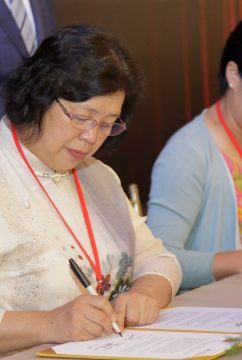 Dr. Zhu offered an experienced American and Chinese perspective to the conference delegates, which included members of the Taiwan media. 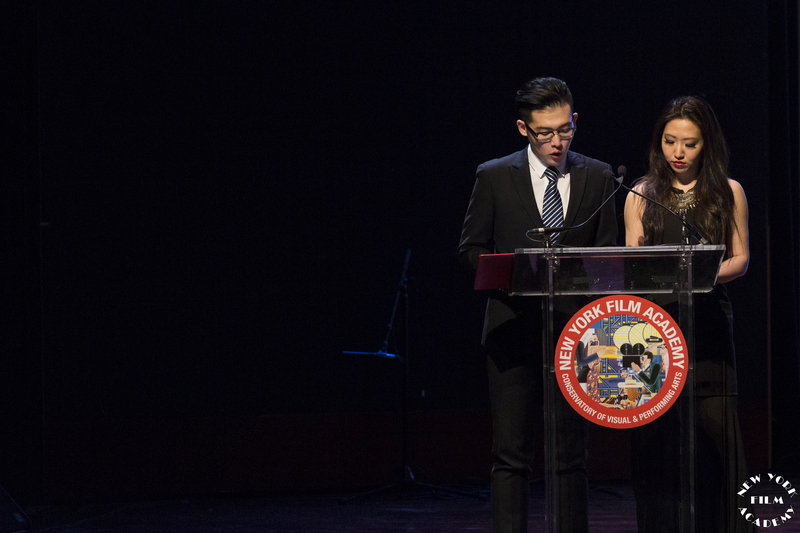 NYFA Executive Vice President for the China Region Dr. Joy Zhu. 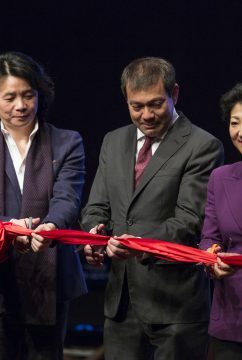 The conference saw film industry professionals from around the globe converge to explore the new Linkou International Media Park, the largest film park in northern Taiwan. 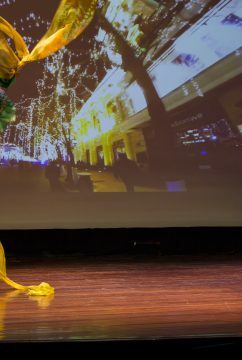 Under the guidance of the city government policy, the film industry in New Taipei City has cumulatively developed nearly 130 hectares of industrial land, not only attracting famous TV stations like TVBS and FTV, but also 597 film companies, including Vieshow Cinemas of Banciao Mega City, Showtime Cinema of HiMall, Ambassador Theatre’s Crown Plaza and the upcoming Showtime Live Shulin Store. 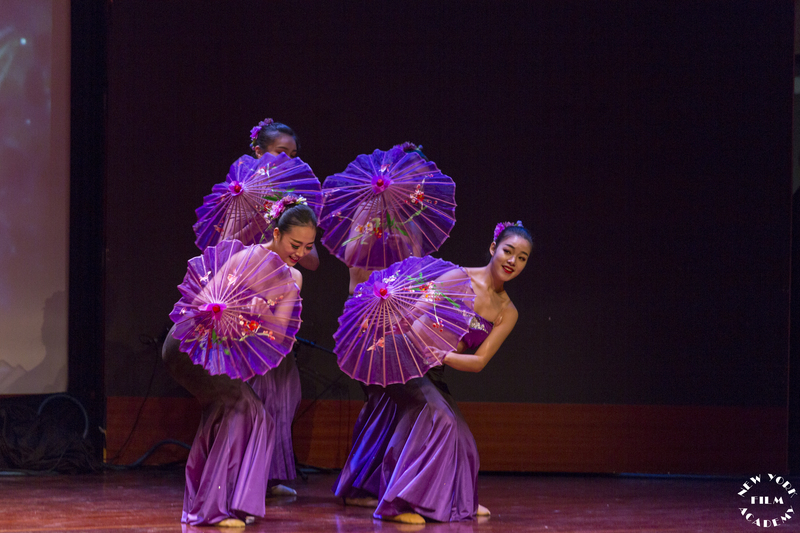 Along with the American Institute in Taiwan (AIT) and the National Taiwan University of Arts (NTUA), the event marked an exciting opportunity for NYFA to forge a new and lasting partnership aimed at fostering talent and cultivating rising stars in New Taipei City. 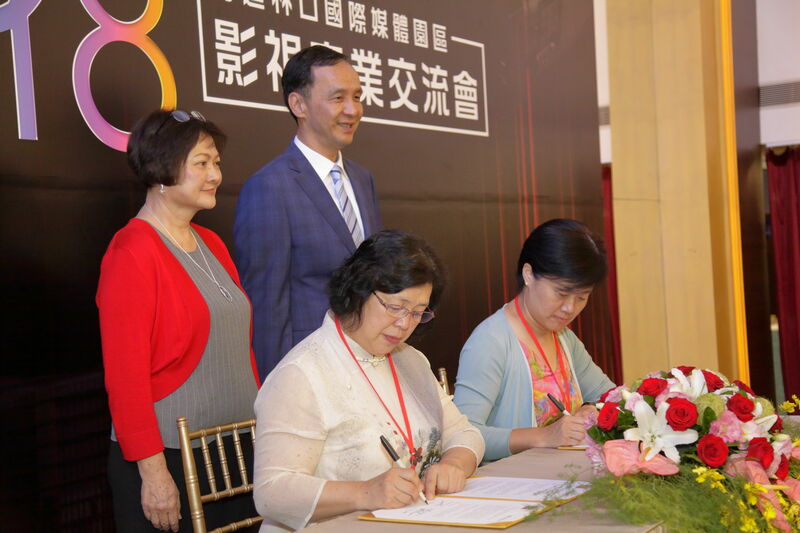 An Memorandum of Understanding (MOU) signing between NYFA and NTUA was a highlight that captured a great deal of media attention. 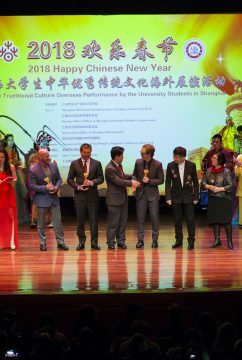 The agreement is expected to yield a rich collaboration on future culture exchanges, academic partnerships, research, trainings, and more, as the institutions work together to develop new courses and programs attuned to the exciting opportunities developing in New Taipei City. 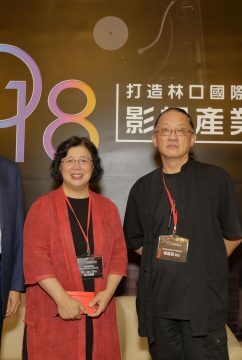 As New Taipei City opens its state-of-the-art film park up to the world, the New York Film Academy is honored to partner with the city’s government, National Taiwan University of Arts, Linkou International Media Park, and the American Institute in Taiwan, to cultivate rising professionals in the media and entertainment industry. 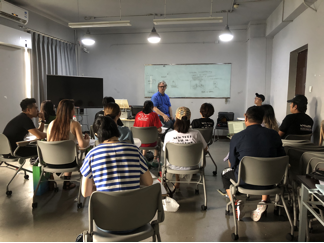 NYFA is very grateful to the Commercial Specialist Department of the American Institute in Taiwan for this opportunity. 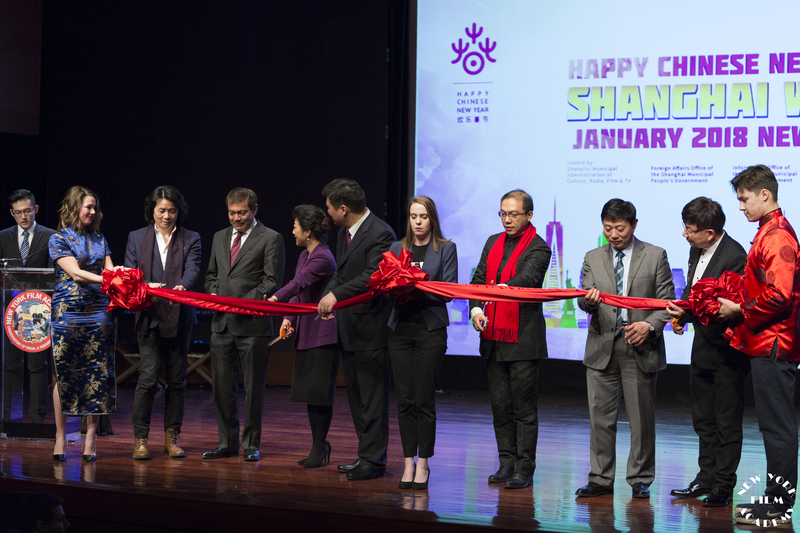 The New York Film Academy (NYFA) was proud and honored to host Shanghai Film Week from Jan. 9-12, created in partnership with the Shanghai Film Group, Shanghai Film Art Academy, and the Shanghai Film Distribution and Exhibition Association. 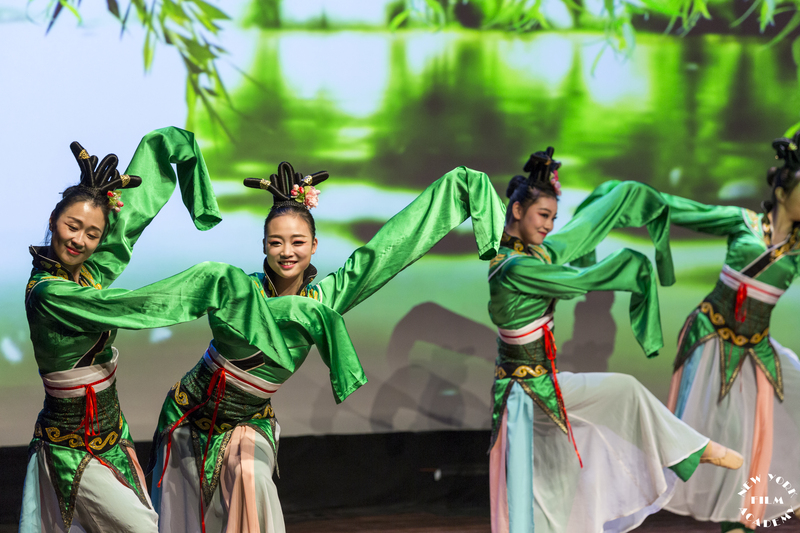 A vivid celebration of Chinese film and culture, Shanghai Film Week coincides with the beginning of the 2018 Chinese New Year festivities. 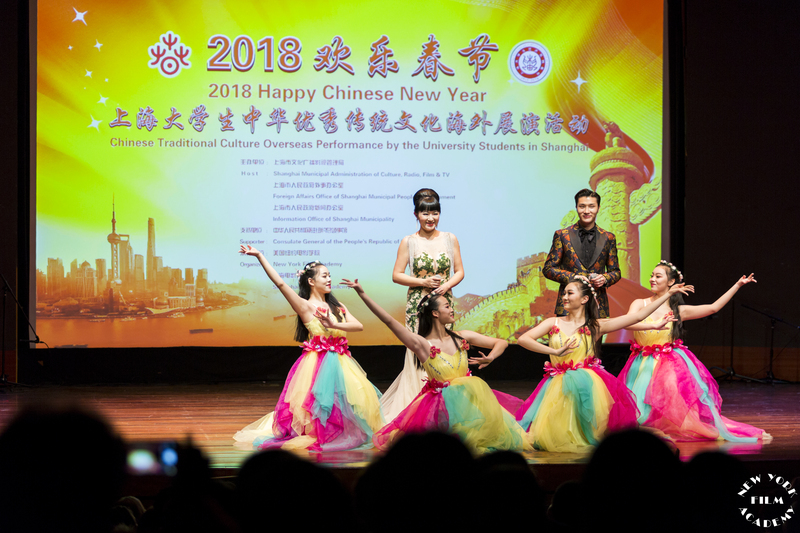 The joy of the New Year was a part of the magic behind the enthusiastic and full turnout, with many of the events of the week seeing packed audiences and full houses. 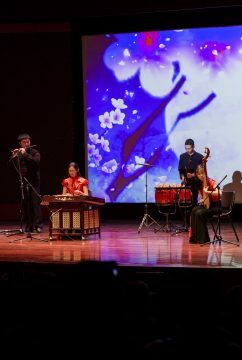 On its opening day, Shanghai Film Week shared space with Chinese Cultural Performances at the Jewish Heritage in downtown New York. 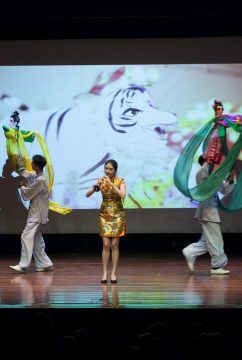 The Chinese Cultural Performances offered a wide and colorful variety of presentations from Shanghai-based cultural and educational institutions, from folk dancing and music to martial arts. 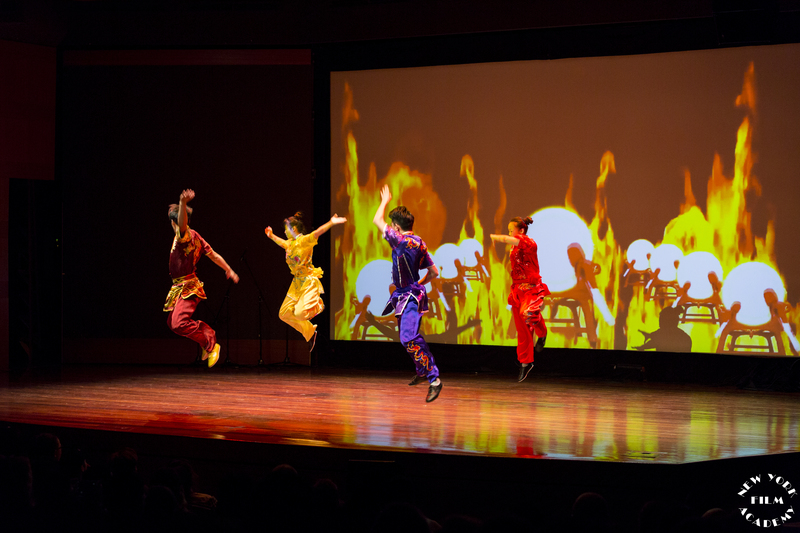 Delighted attendees were treated to presentations by the East China Normal University, Shanghai Theatre Academy, Shanghai Conservatory of Music, Shanghai Film Art Academy, and Shanghai University of Traditional Chinese Medicine. 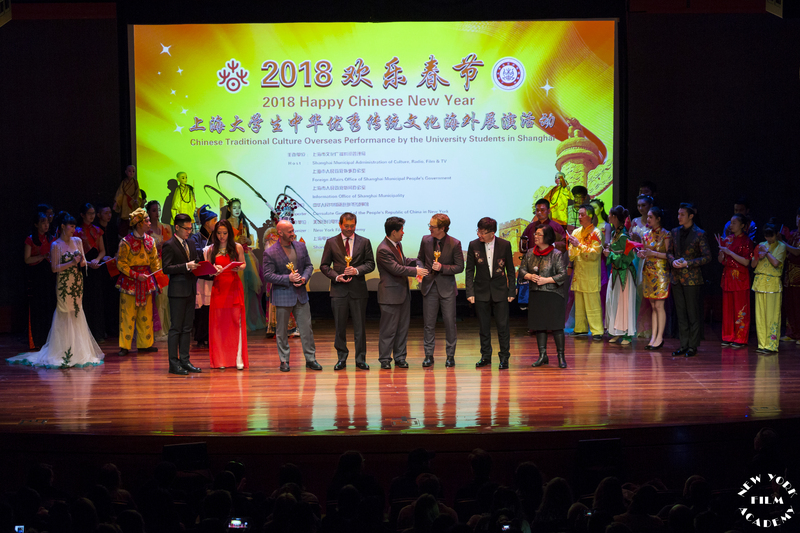 The performances concluded with a ceremony to acknowledge and thank the many prestigious institutions and talented individuals involved in shaping the Chinese Cultural Performances. 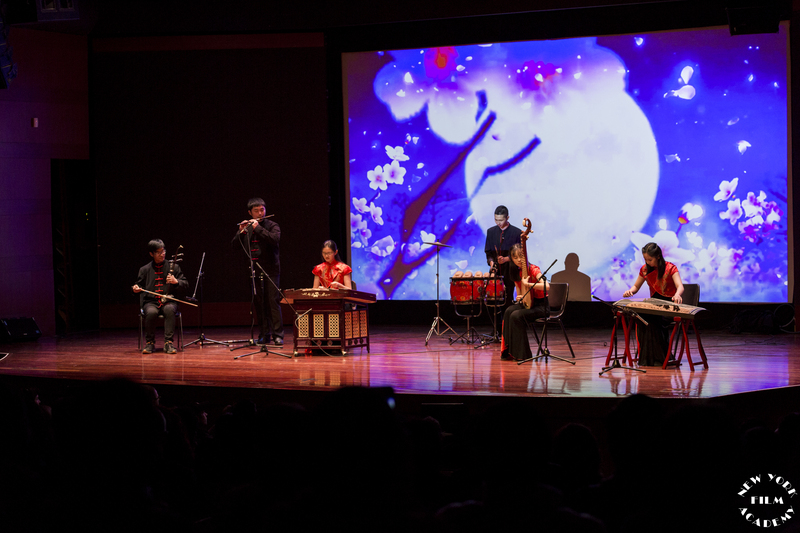 Following on the energy of the performances, Shanghai Film Week continued the theme of celebration with a focus on Chinese film. The assembled crowd was treated to a Film Panel hosted by New York Film Academy President Michael J. Young. 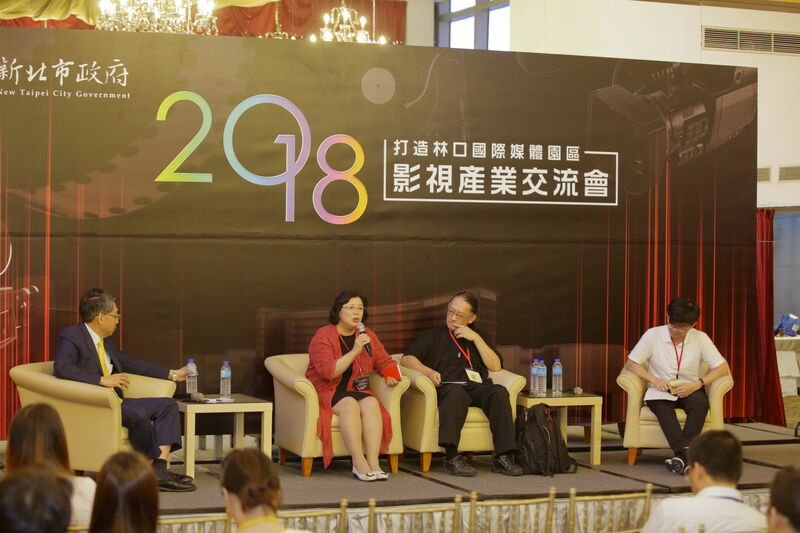 Shanghai Film Week’s Film Panel discussion offered rare insight, flavored with optimism, on topics from the history of cinema in China to the future of the international entertainment industry. 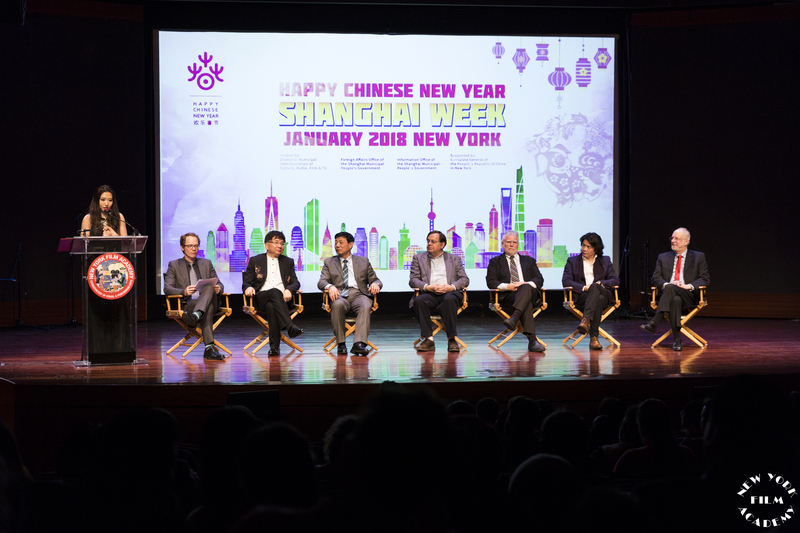 Industry experts discussed “The Present and Future State of the U.S. and China Film Collaboration,” with panelists including award-winning author and NYU Tisch professor David Irving, Shanghai Film Art Academy President Jiang Bo, renowned film critic and NYFA instructor Peter Rainer, film director of the first screening film Sherwood Hu, NYFA Chair of Broadcast Journalism Bill Einreinhofer, and Vice President of the Shanghai Film Group Corporation Xiaojun Wang. 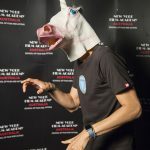 The popular film features NBA superstars Scottie Pippen, Mel Chude, Dwight Howard, and Carmelo Anthony, and offered the enthusiastic audience an exciting ride through the world of a virtual reality game that takes on a life of its own. 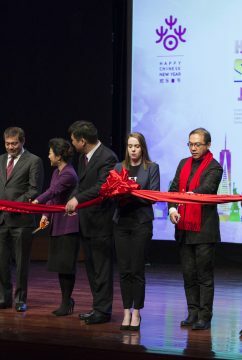 The New York Film Academy thanks its Shanghai Film Week supporter and partners: Consulate General of the People’s Republic of China in New York; the Shanghai Municipal Administration of Culture, Radio, Film & TV; Foreign Affairs Office of the Shanghai Municipal People’s Government; Information Office of Shanghai Municipal People’s Government; Shanghai Film Group; and Shanghai Film Art Academy. 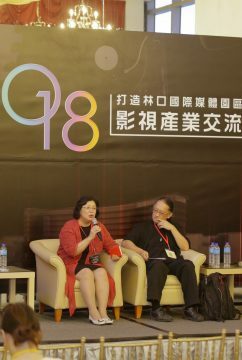 This October, President of the New York Film Academy Michael Young made a trip to China, visiting several of the nation’s educational institutions and attending several prestigious conferences and ceremonies. 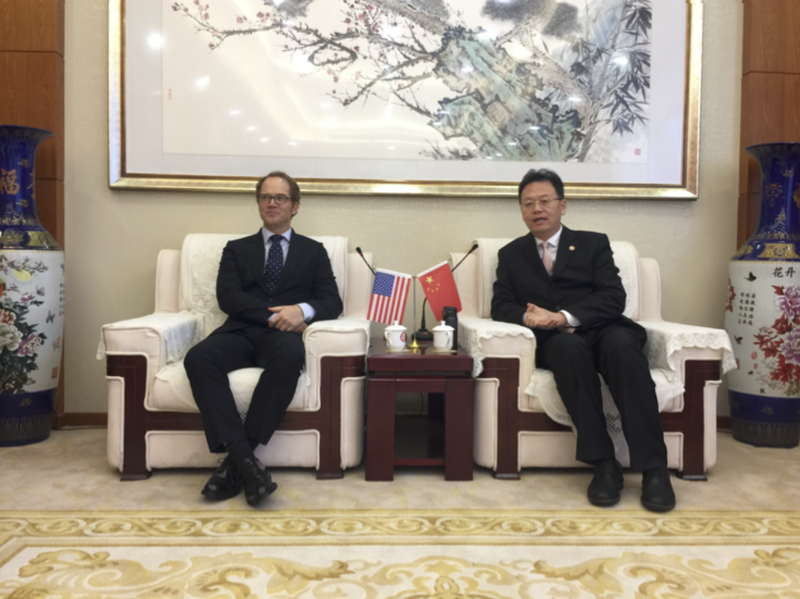 The first stop of this trip was Xi’an Peihua University, a private institution over 100 years old with more than 25,000 current students. 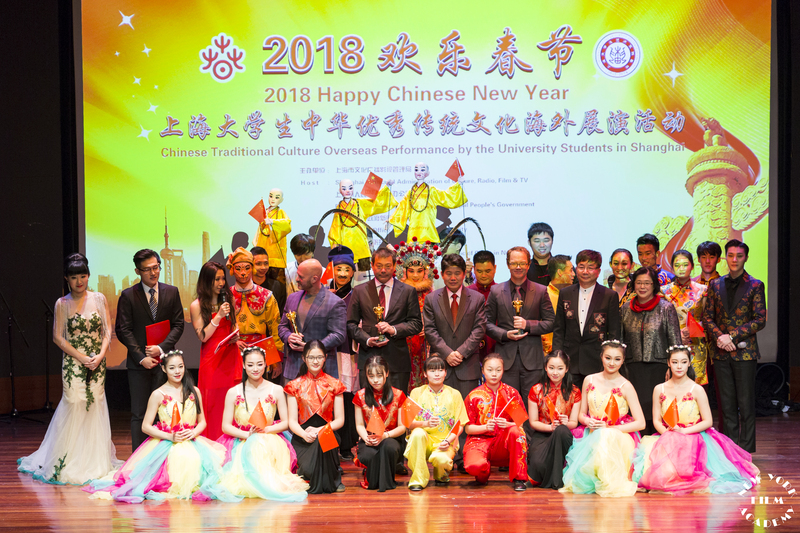 President Young delivered a captivating speech at the grand welcoming ceremony held by the school, where he met over 500 students and expressed his enthusiasm for Peihua’s internationalization efforts. 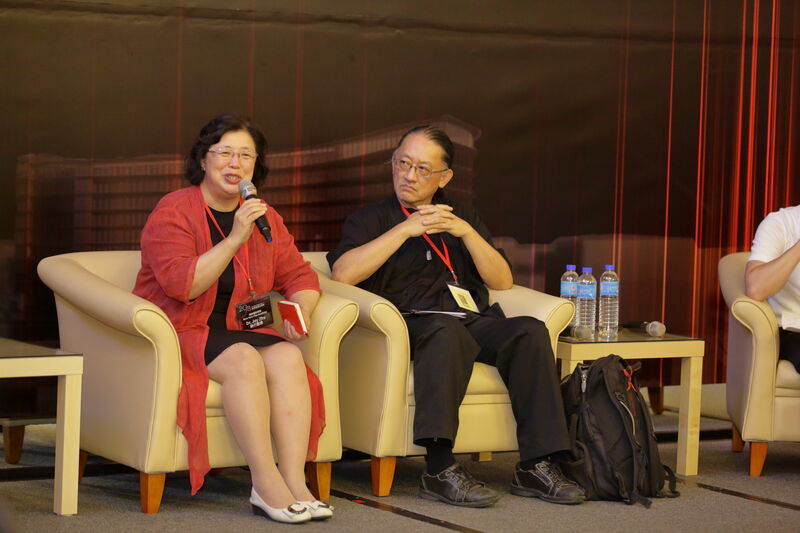 He also encouraged students to focus on specializing their abilities to better achieve their ambitions. 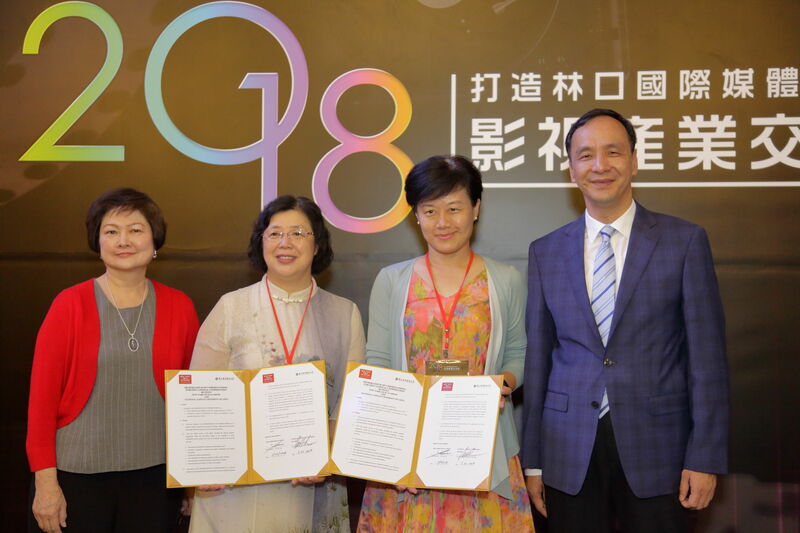 After his speech, New York Film Academy and Peihua University officially signed the Cooperation Agreement, which includes cooperative programs such as the “1+3” Undergraduate and Graduate Program and the Study Abroad Program, among others. 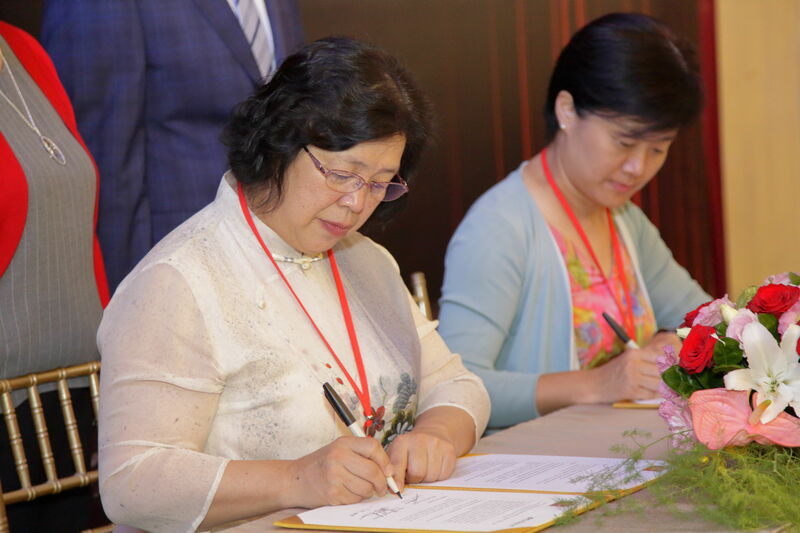 President Young was also inducted as an Honorable President of Peihua University, the first time since Peihua University’s founding that such a prestigious title has been conferred to a foreign educator. 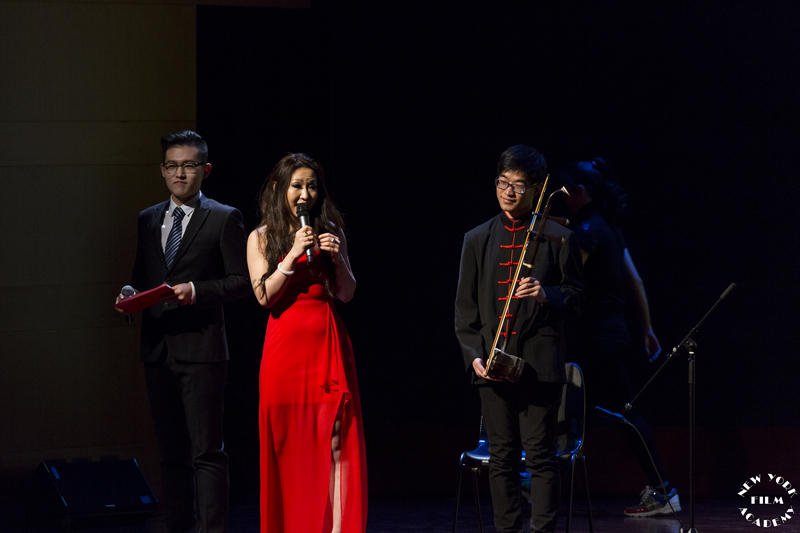 President Young next visited Shanghai Theatre Academy Lianhua Campus, where students who benefit from the “1+3” program by New York Film Academy and Shanghai Theatre Academy currently study. 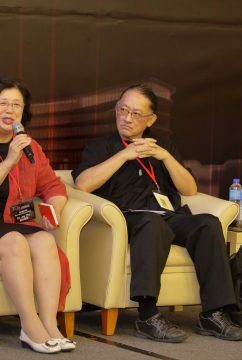 He talked to the school’s top professors, asking detailed questions about the students’ current learning environment and also patiently answering any questions himself. 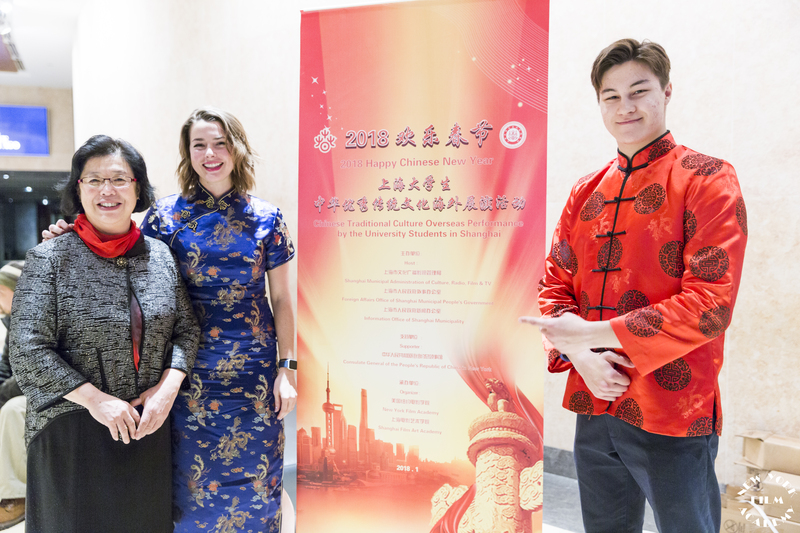 President Young encouraged the “1+3” students to take every advantage of the professional education that Shanghai Theatre Academy provides, and stressed the importance of mastering the English language to best prepare for their upcoming three-year study at New York Film Academy. 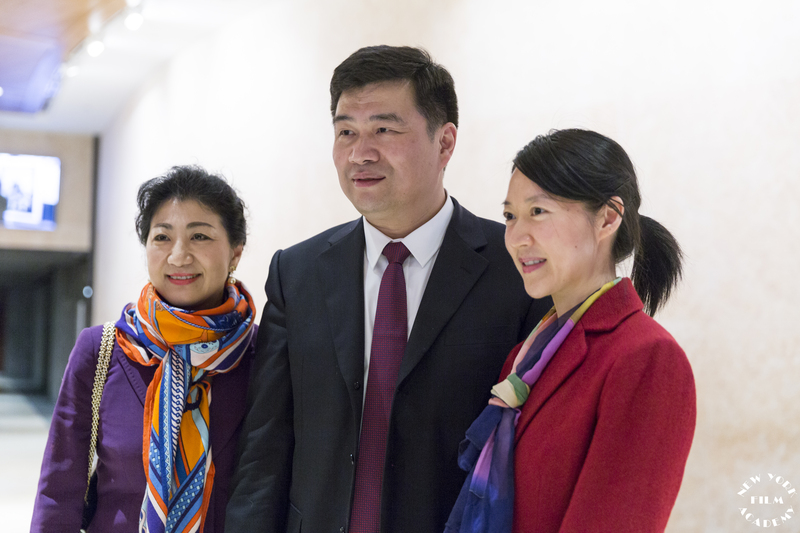 Traveling to Hangzhou, President Young visited the uniquely designed art building and facilities of Wankun Arts High School. 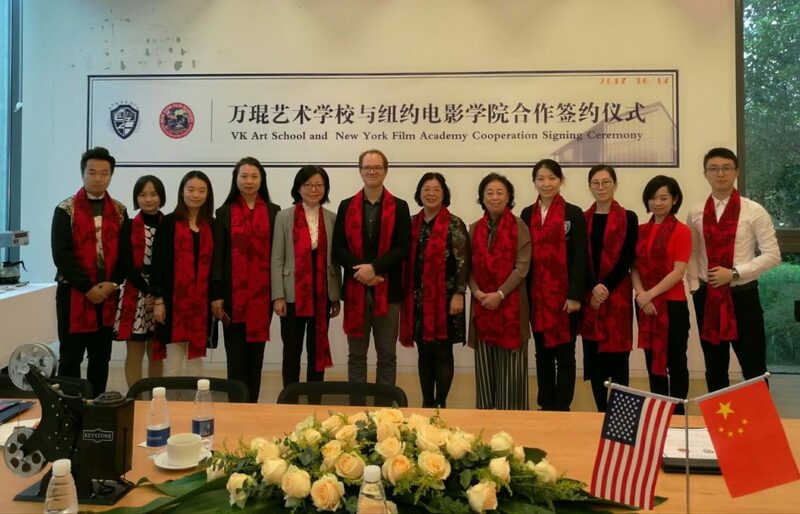 The New York Film Academy signed a cooperation agreement with Wankun Arts High School to co-found the Student Resource base, which will help Wankun Arts graduates transition to NYFA’s undergraduate program. 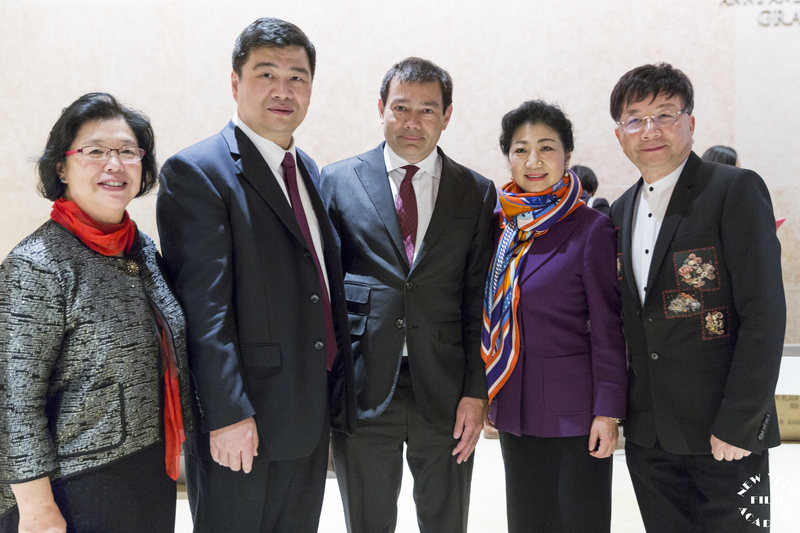 President Young also talked about potentially co-founding Arts School with the board from Wankun Arts High School. 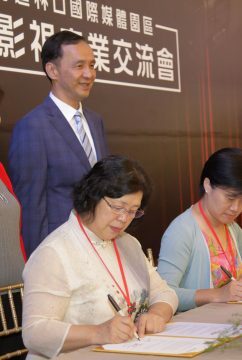 Afterwards, President Young attended an event held by FlyCo Star Pictures Co. Ltd. By signing the Strategic Cooperation Agreement with FlyCo Star Pictures Co. Ltd., President Young and the New York Film Academy will help cultivate young and talented filmmakers to become leading figures in the film industry. 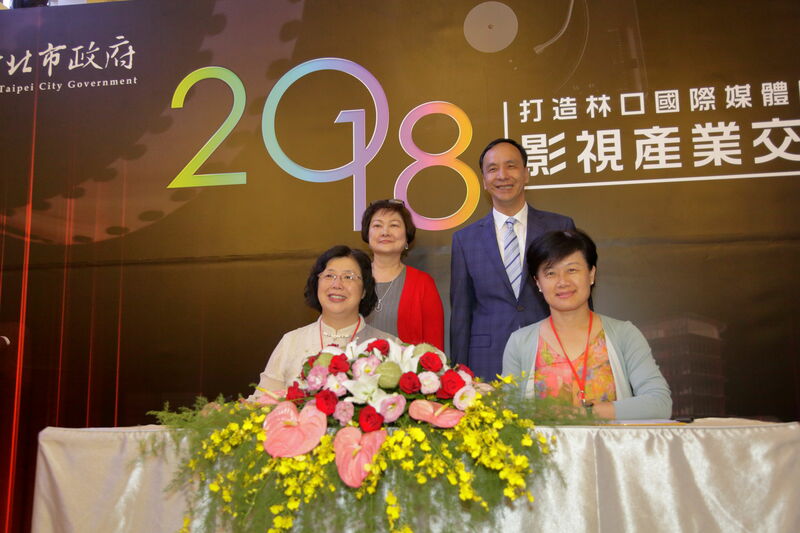 With three NYFA graduates currently working at FlyCo Star Pictures Co. Ltd., President Young expressed his appreciation, while FlyCo Star praised the alumni’s contribution to the company. 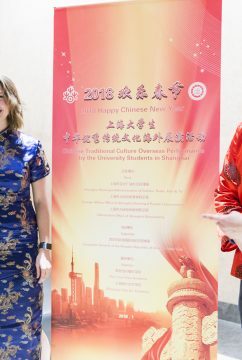 Later that afternoon, President Young toured one of the leading media and communication institutions in China, Zhejiang University of Media and Communications (ZJUMC), where currently over 100,000 students are attending. 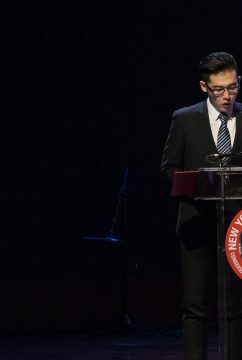 He congratulated Huace Film Academy on its founding, and shared his enthusiastic confidence in the newfound cooperation between NYFA and ZJUMC. 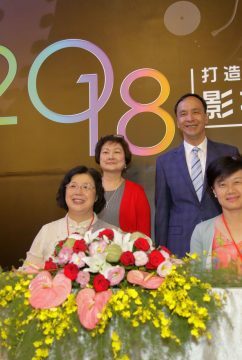 President Young also elaborated on this future cooperation, which will include detailed programs such as the accelerated degree and short-term study abroad programs, as well as further involving the NYFA 4-week workshop programs with ZJUMC’s traditional courses. 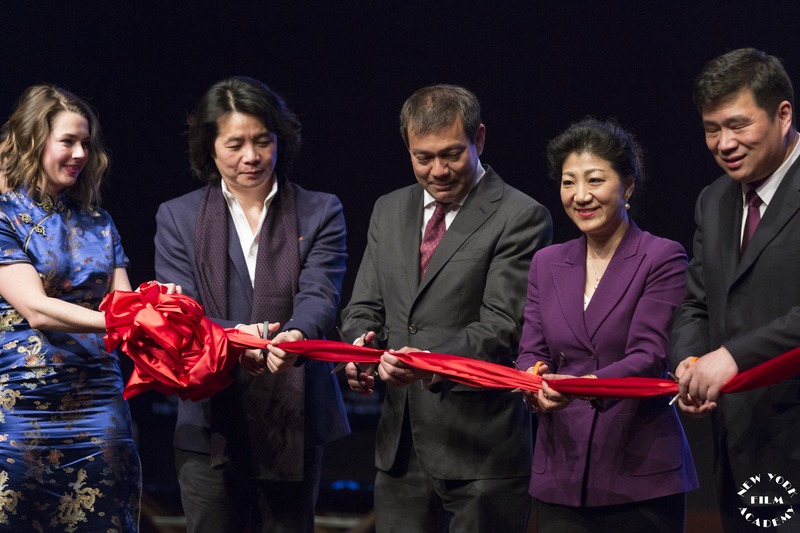 In addition to New York Film Academy’s educational commitment within China’s borders, President Young also shared exciting news about upcoming events at the New York Film Academy’s renowned New York campus. 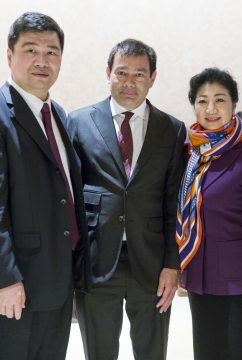 During the visit to Shanghai, one of the most vital discussions concerned Shanghai Film Week. 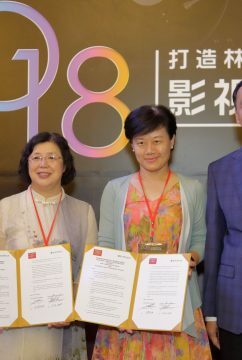 The conference between NYFA, Shanghai’s Municipal Government, and Shanghai Film Art Academy came to an agreement, and NYFA will proudly co-host Shanghai Film Week in January 2018. 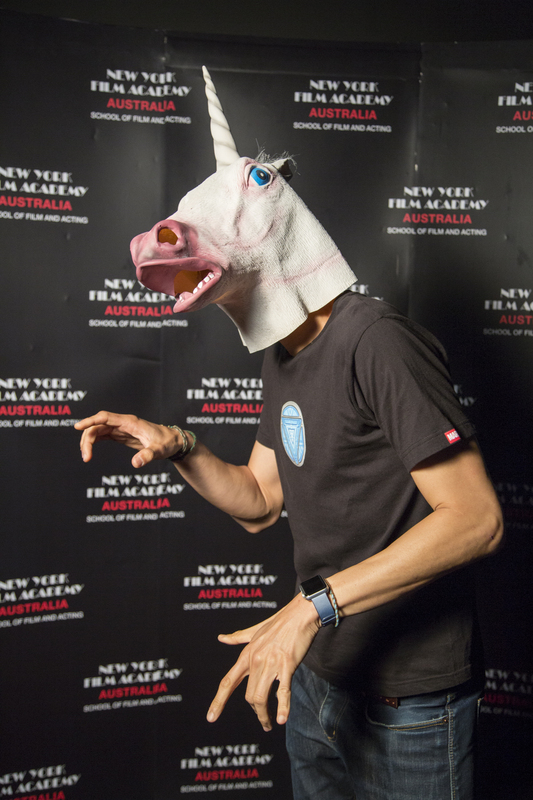 Staff and students from the New York Film Academy Gold Coast joined together for a friendly celebration of Halloween at the Southport campus location this October. 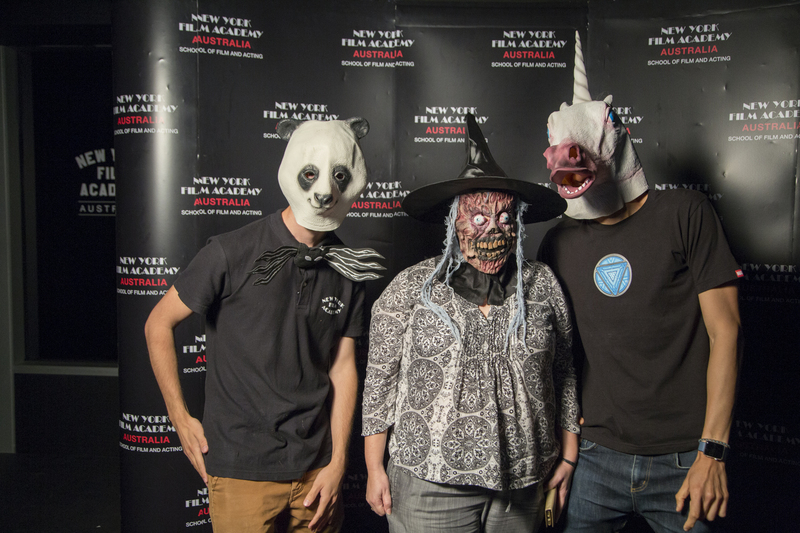 Embracing the infamously spooky American holiday, the international community of NYFA Australia dressed up in their scary costumes and relaxed in the theatre during their lunch break, enjoying classic horror movie clips, a costume contest, and creative fun. 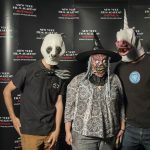 Students were captivated by the montage of horror movies that were playing on the big screen, which showcased some of the best scenes from horror movie classics from 1985 to the present. 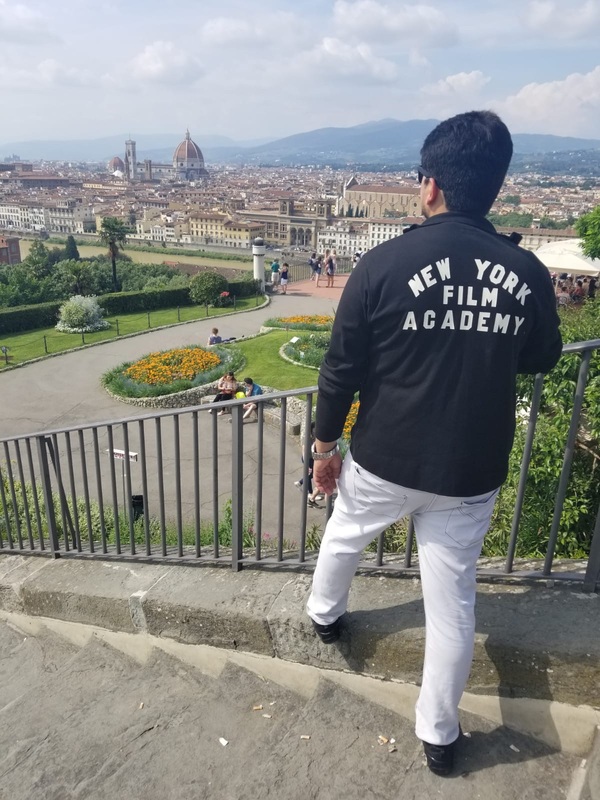 The New York Film Academy (NYFA) announced that NYFA’s Florence, Italy campus will, in September 2018, offer a semester ‘Study Abroad’ program in filmmaking and acting for film. 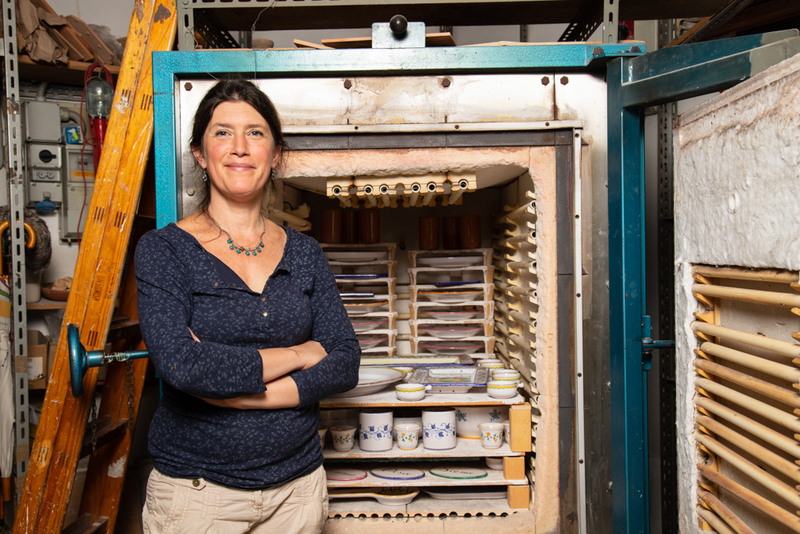 This is a new opportunity for students—from anywhere in the world—to study in Florence for a 12-week semester. 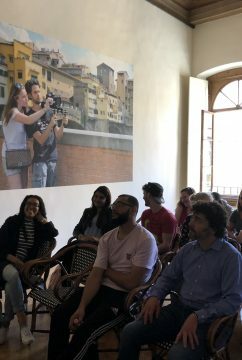 Traditionally, the NYFA Florence location has offered shorter term ‘workshops’ of 1-week, 4-week, 6-week, and 8-week with various starts from April to September. 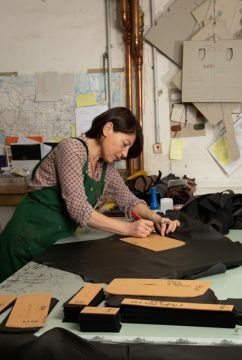 These workshops will continue to run. 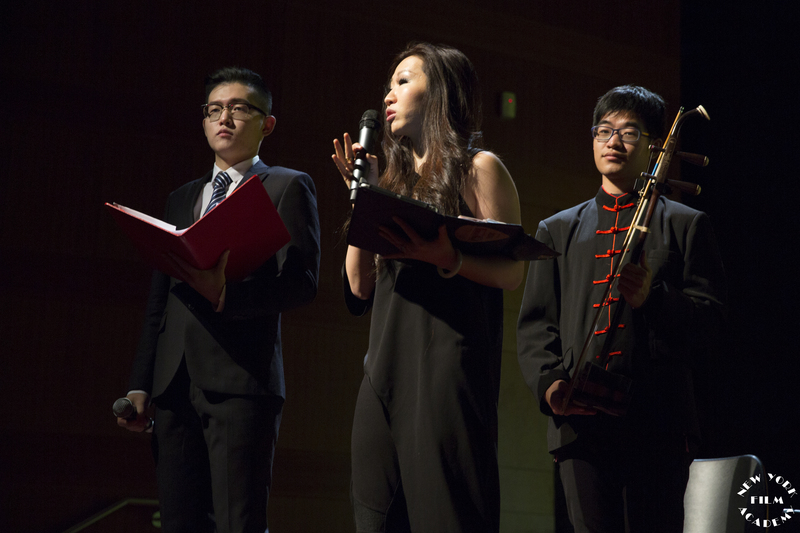 The semester program offers 13 U.S. college credits, which are issued by NYFA in partnership with Endicott College; students can also receive transcripts of credits that are regionally recognized. 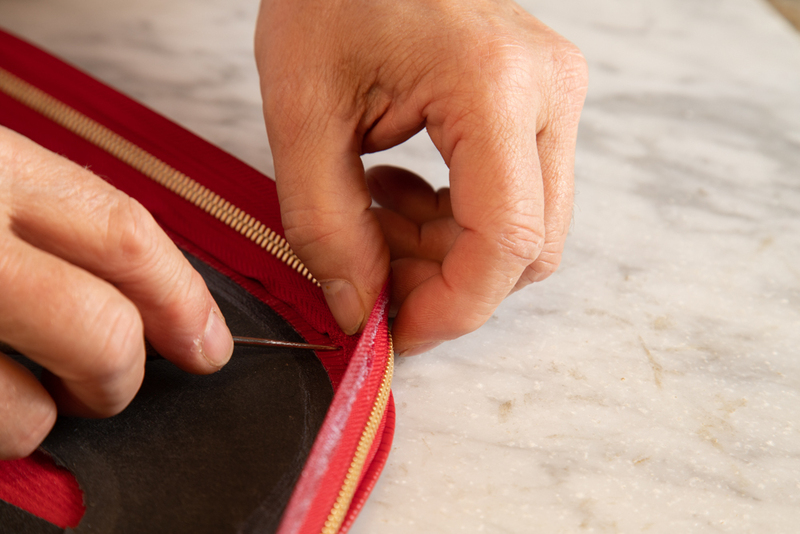 All program lengths offer accredited transcripts upon completion of the coursework. 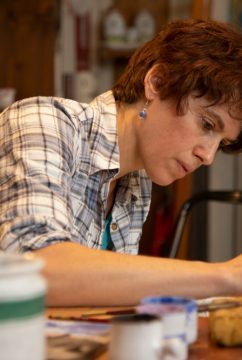 NYFA’s Florence programs have been running since 2003, and for most of that time they have been under the guidance of Diana Santi, Director of NYFA Italy, a highly regarded professional in the film industry. 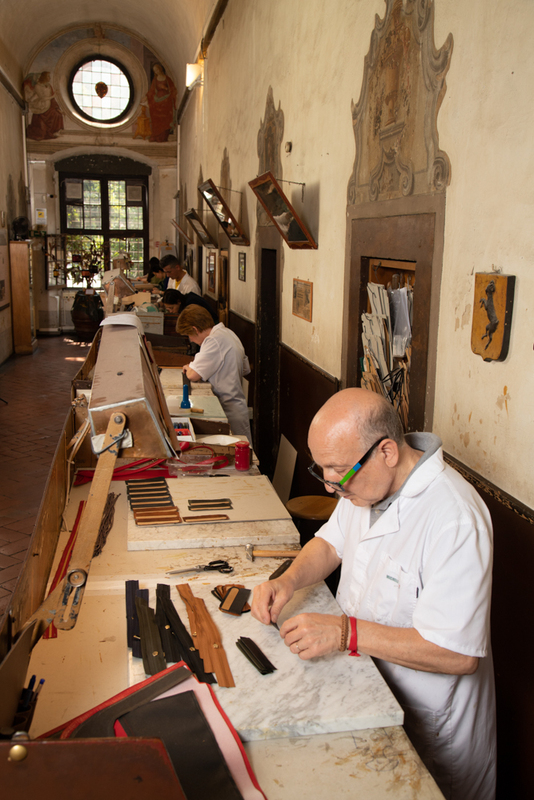 NYFA Florence is in the heart of the historic center of Florence and directly across from Cappelle Medicee and steps away from the Duomo. 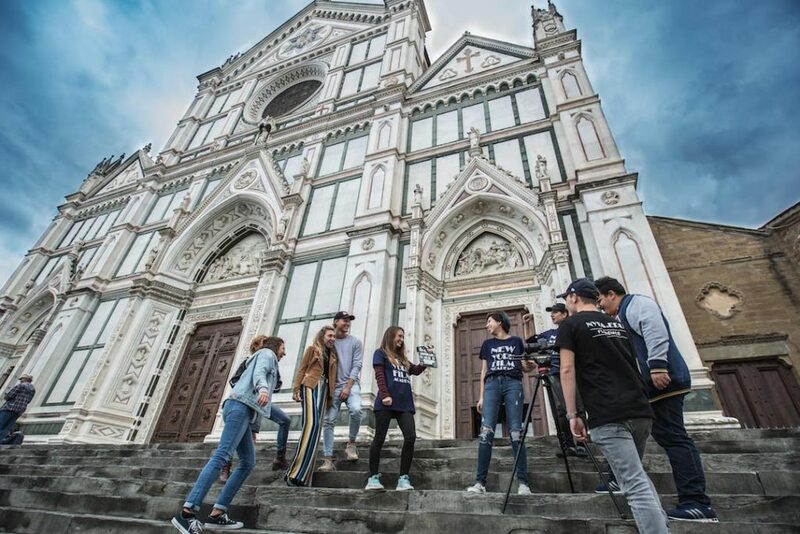 Instead of occupying class time in a typical classroom, students will utilize Florence as their classroom, filming and acting within the city itself. 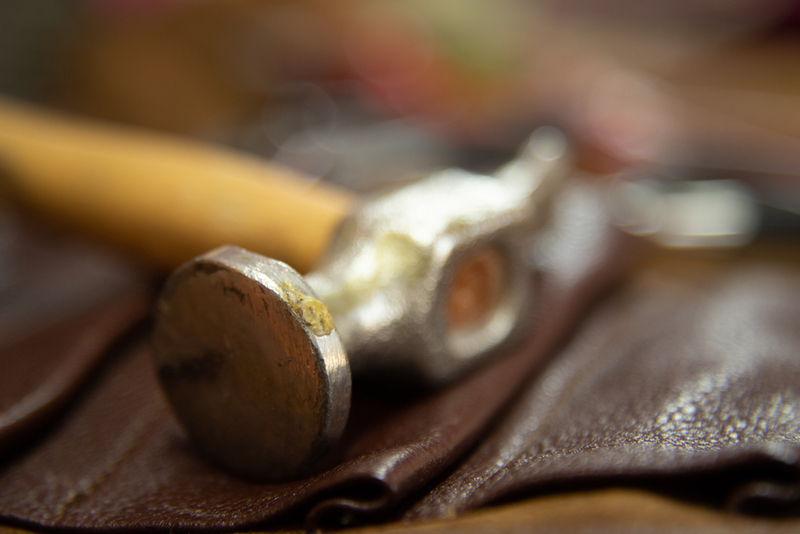 As one of NYFA’s core values is Learning by Doing, all of NYFA’s programs are hands-on and intensive. 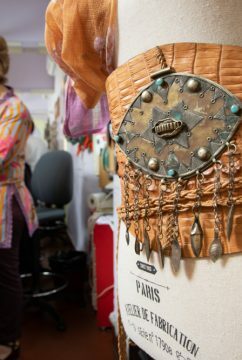 From the first day of the program, students will have their hands on the equipment or be acting in front of the camera. 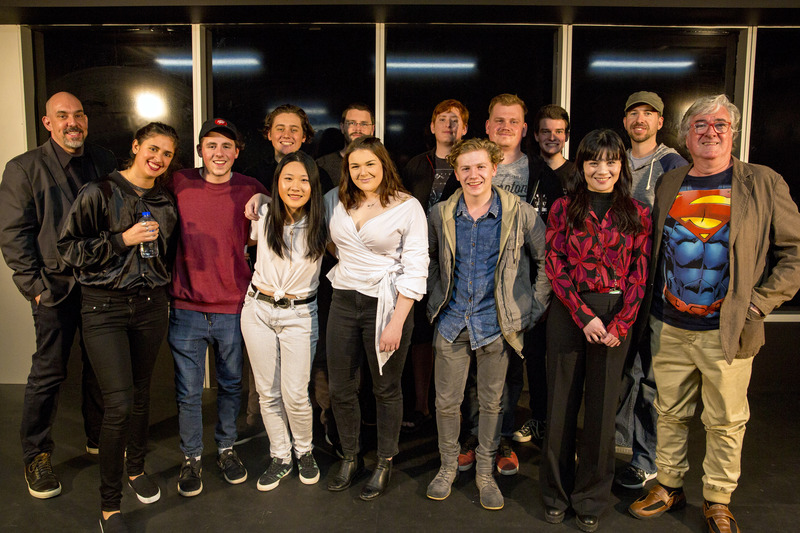 This August, the New York Film Academy Gold Coast held the May 2017 Filmmaking mid-year screening showcase for it’s May 2017 intake Filmmaking students at the new, purpose-built Southport campus theatre. 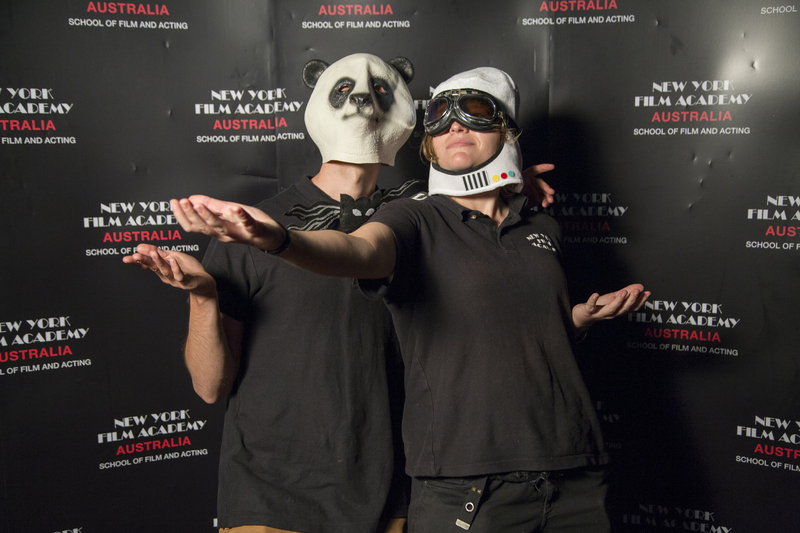 As a part of the New York Film Academy Australia’s commitment to hands-on education, the mid-year showcase provides students with the opportunity to screen their work from class for an invited audience of peers, friends, and family. 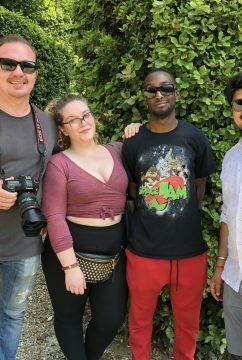 Mr. Hawkins continued, “With an impressive variety of story ideas, our new and emerging filmmakers have explored numerous genres including comedy, drama, action, science fiction, gangster and social comment. 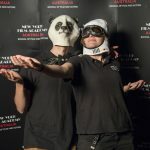 Congratulations to our Filmmaking students for their successful mid-year screenings.